In the US, Alaska is the most earthquake-prone state and one of the most seismically active regions in the world. Alaska experiences a magnitude 7 earthquake almost every year, and a magnitude 8 or greater earthquake on an average of every 14 years. 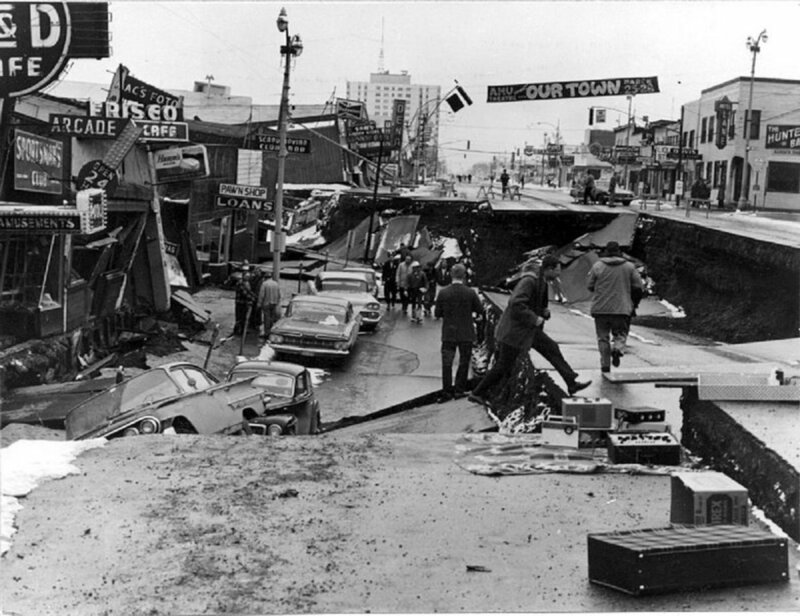 The largest recorded earthquake in the United States was a magnitude 9.2 quake that struck Prince William Sound, Alaska on Good Friday, March 28, 1964 UTC. 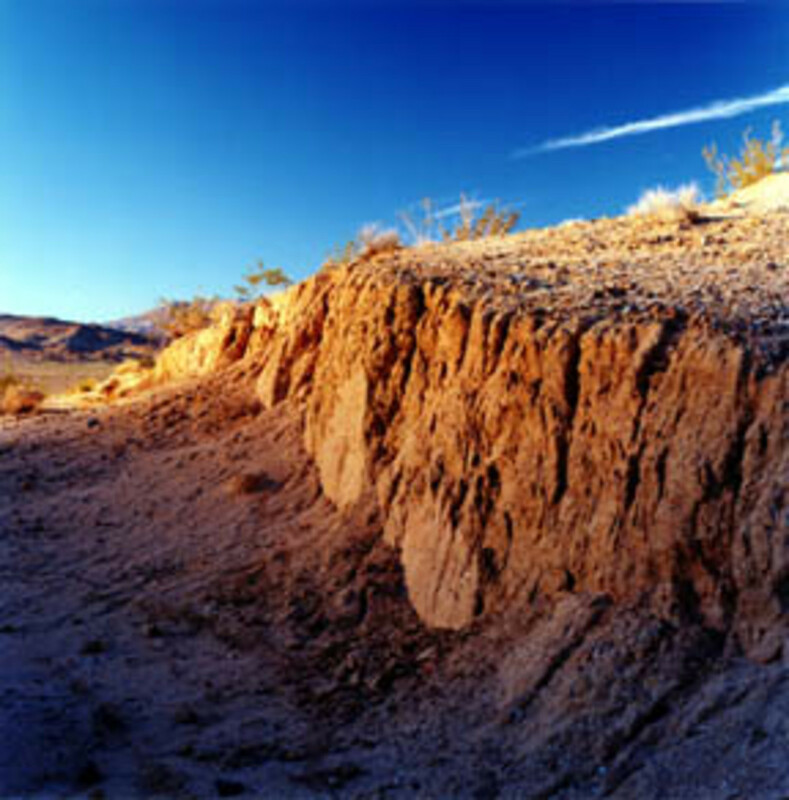 Each year the southern California area has about 10,000 earthquakes. Most of them are so small that they are not felt. Only several hundreds are greater than magnitude 3.0, and only about 15-20 are greater than magnitude 4.0. From 1975-1995 there were only four states in the US that did not have any earthquakes. They were: Florida, Lowa, North Dakota, and Wisconsin. Earthquakes occur in the central portion of the United States too! 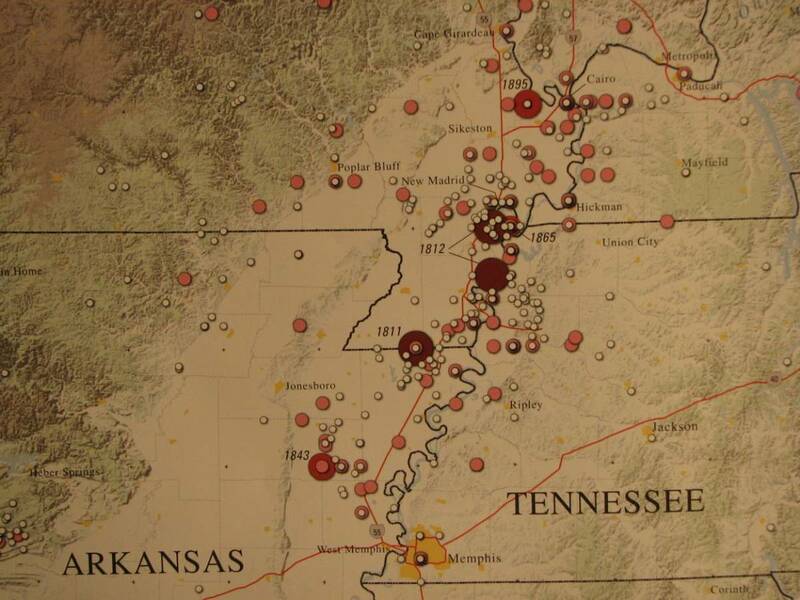 Some very powerful earthquakes occurred along the New Madrid fault in the Mississippi Valley in 1811-1812. 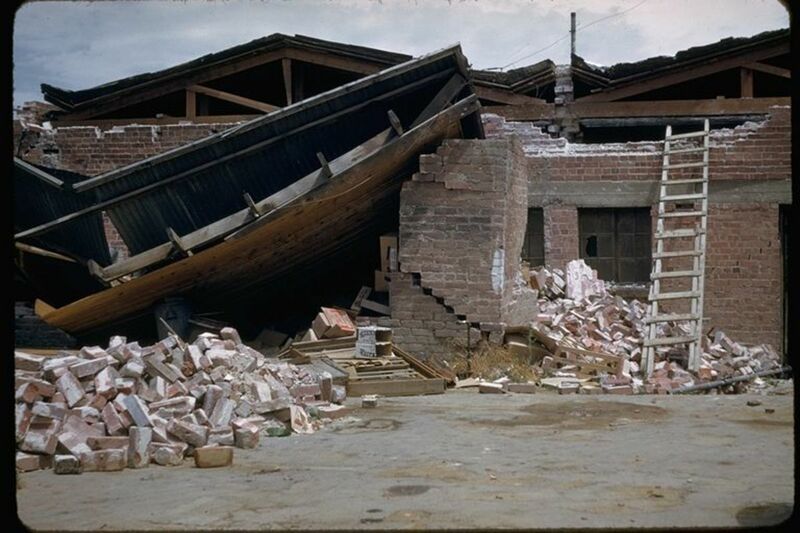 The largest recorded earthquake in the worldwas a magnitude 9.5 in Chile on May 22, 1960. Listed below are a few of the largest earthquakes that occurred in the US. One of five uplifted terraces on the Middleton island, and a surf-cut rock platform exposed between the base of the sea cliff and the new high tide level. 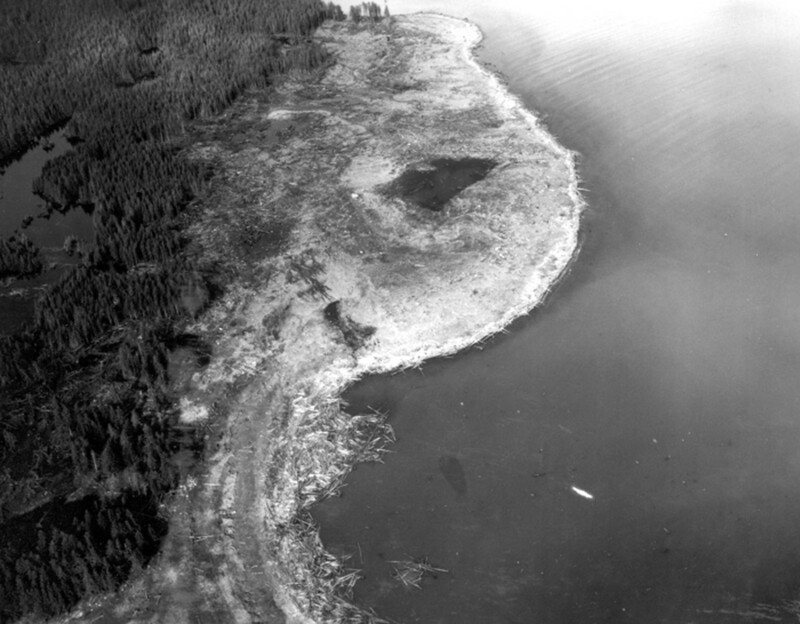 This Alaskan Earthquake of March 28, 1964 uplifted the sea floor at CapeCleare on MontagueIsland in Prince William Sound. This is the area of the greatest recorded tectonic uplift on land (33 feet). The earthquake was accompanied by a vertical displacement over an area of about 520,000 square kilometers which ranged from about 11.5 meters of uplift to 2.3 meters of subsidence relative to sea level. This shock also generated a tsunami that devastated many towns along the Gulf of Alaska, and left serious damage at Alberni and Port Alberni, Canada, along the West Coast of the United States, and in Hawaii. The maximum wave height recorded was 67 meters at Valdez Inlet. This great earthquake and ensuing tsunami took 128 lives (tsunami 113, earthquake 15), and caused about $311 million in property loss. 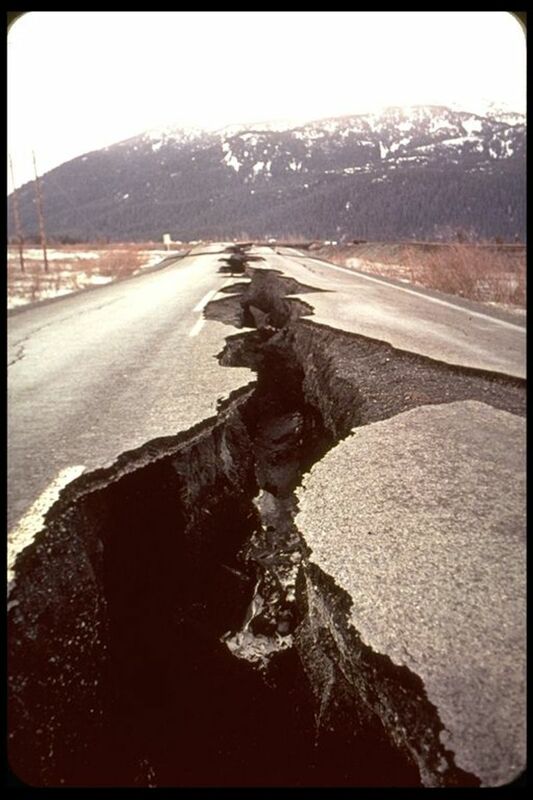 This earthquake affected many towns including Anchorage, Chitina, Glennallen, Homer, Hope, Kasilof, Kenai, Kodiak, MoosePass, Portage, Seldovia, Seward, Sterling, Valdez, Wasilla, and Whittier. Tsunami striking the coast of O'ahu at La'ie. 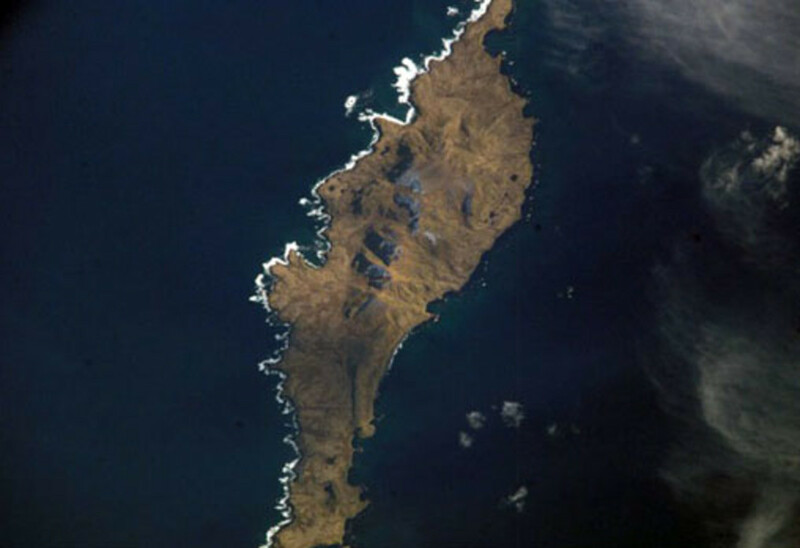 On March 9, 1957, at 14:22 UTC, an earthquake occurred south of the Andreanof Islands, in the Aleutian Islands of Alaska. 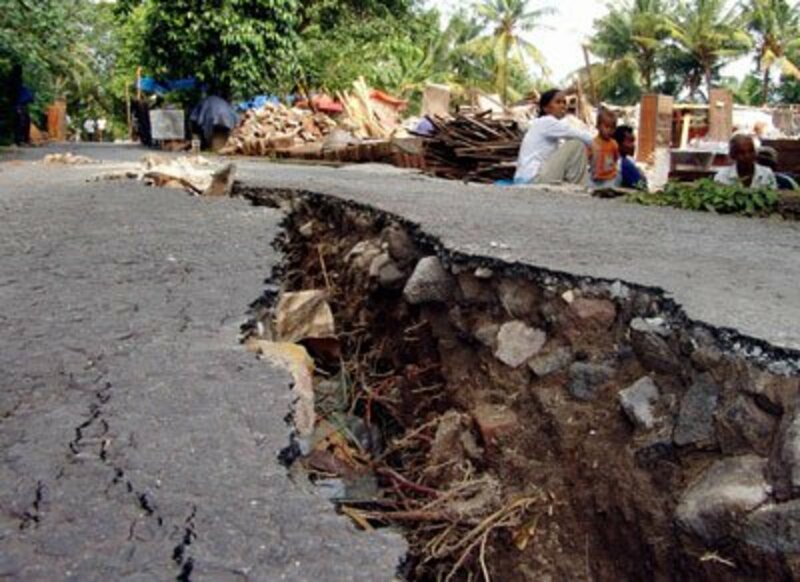 The earthquake destroyed two bridges on AdakIsland, damaged houses, and left a 4.5 meter crack in a road. MountVsevidof erupted after being dormant for 200 years. 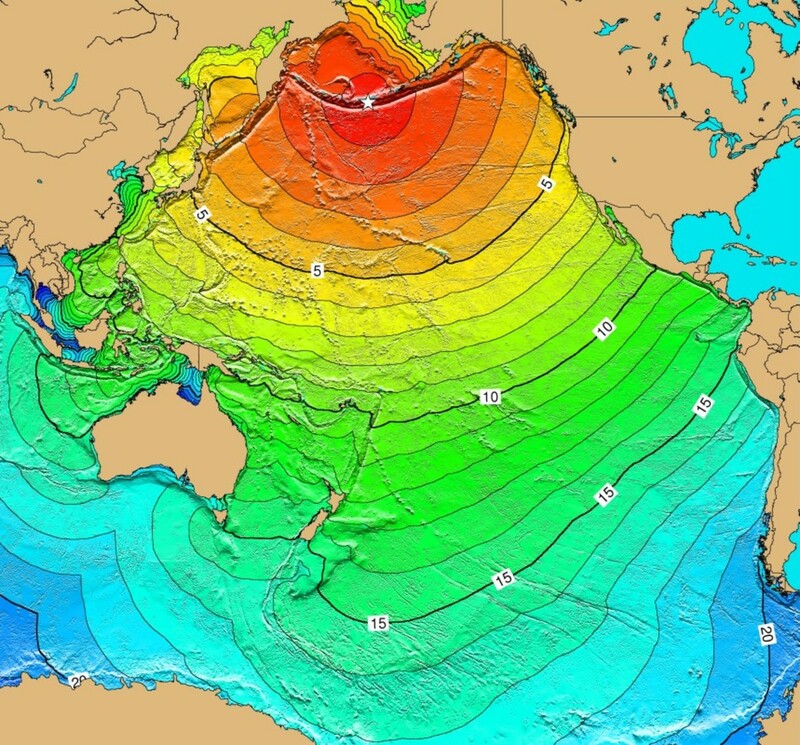 This earthquake triggered a tsunami across the pacific. No lives were lost and the Hawaiian Islands suffered the greatest with damage costs approximately $5 million dollars. bridges were destroyed and sections of highways were flooded at Haena in Hawaii and waves reached a height of 16 m. Houses were washed out and destroyed at Wainiha and Kalihiwai. 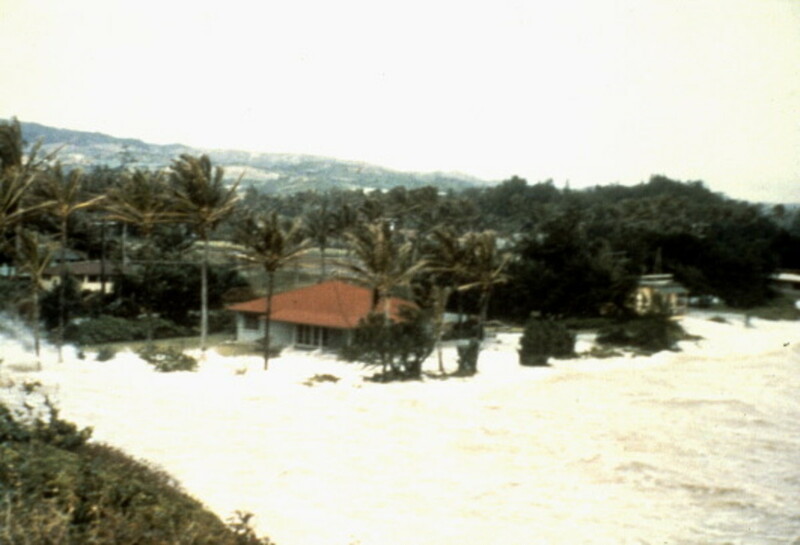 The Coconut Island In Hilo Bay, was covered by 1 m of water and the bridge connecting it to shore was destroyed. 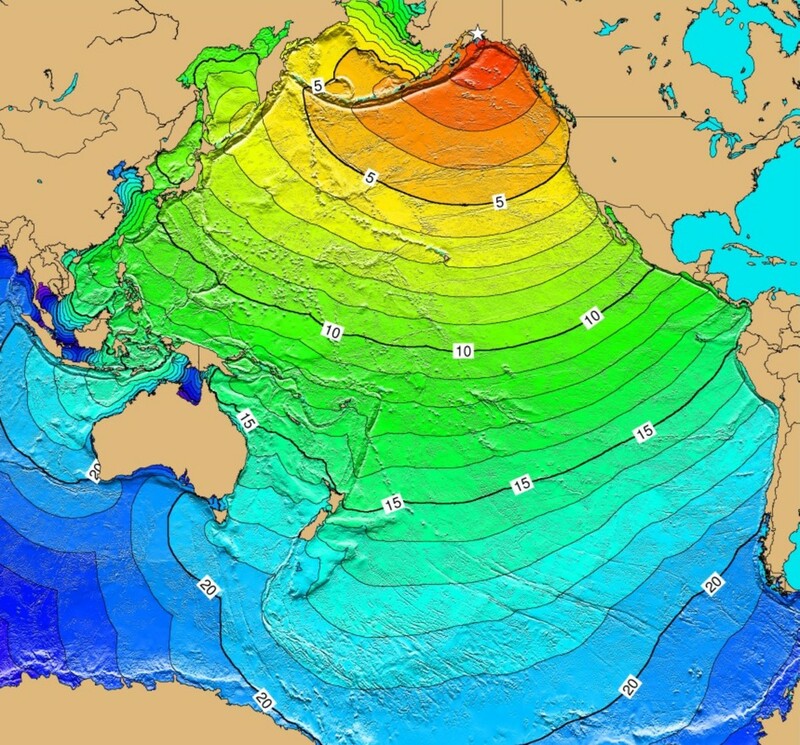 The tsunami also caused minor damage in San Diego Bay, California, and also travelled to distant countries such as Chile, El Salvador, Japan, and other areas in the Pacific region. More than 300 aftershocks were reported along the southern edge of the Aleutians, from Unimak Island to AmchitkaPass. 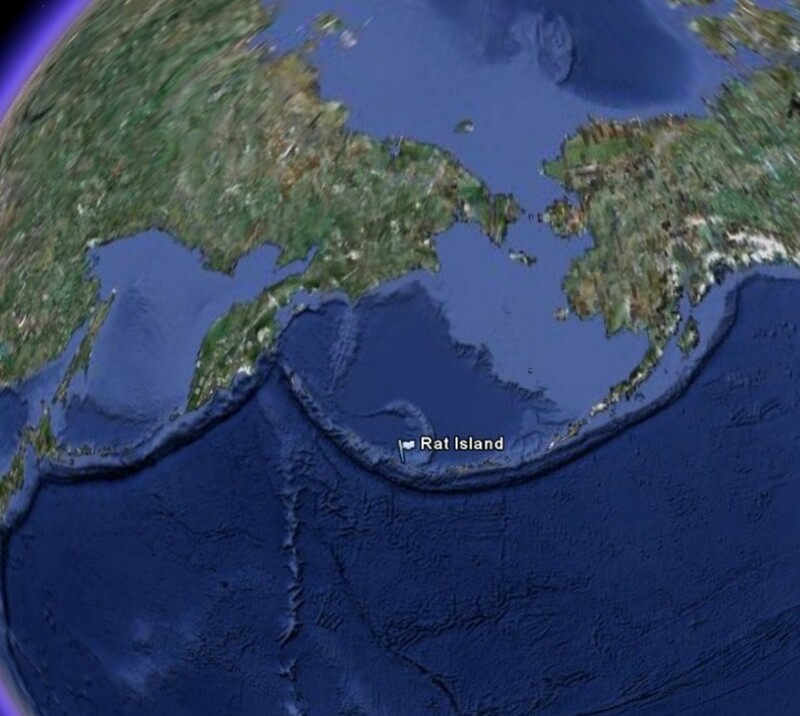 This great earthquake occurred in the Rat Islands and the magnitude was 8.7. it ruptured a 600km segment of the western end of the Aleutian islands. Wooden buildings experienced cracks On Adak Island, and on ShemyaIsland, cracks were observed in an asphalt runway. Hairline cracks also formed in the runways at the U.S. Coast Guard Loran Station on AttuIsland. This earthquake generated a tsunami reported to be about 10.7 meters high on ShemyaIsland. Loss caused by flooding on AmchitkaIsland was estimated at about $10,000. 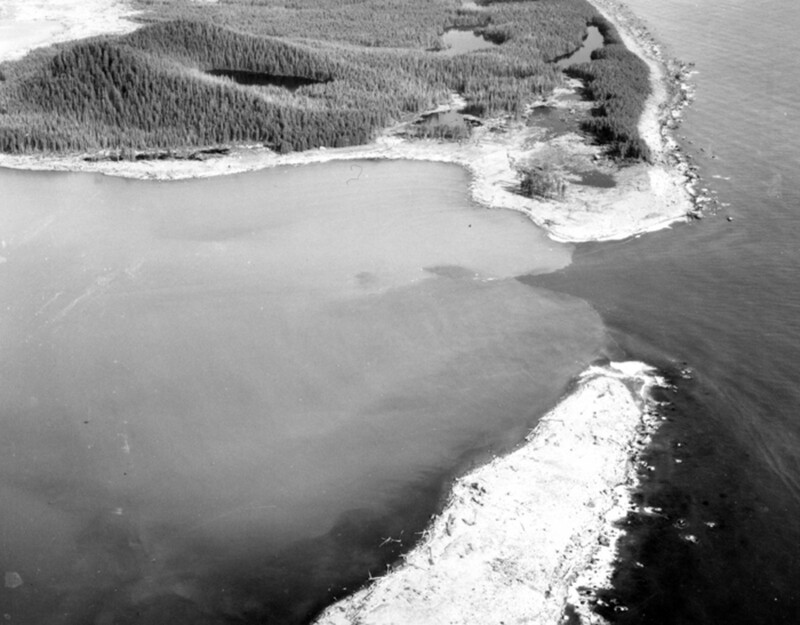 This was the largest earthquake in southeast Alaska since the Yakutat shocks of 1899. three people were killed on Khantaak Island (in Yakutat Bay), when the north end of the island slumped into the sea, and two people were missing and presumed dead in Lituya Bay from a wave generated by the collapse of 300 million cubic meters of rock into Gilbert Bay. The epicenter of this quake was a scant 13 miles from LityuaBay. 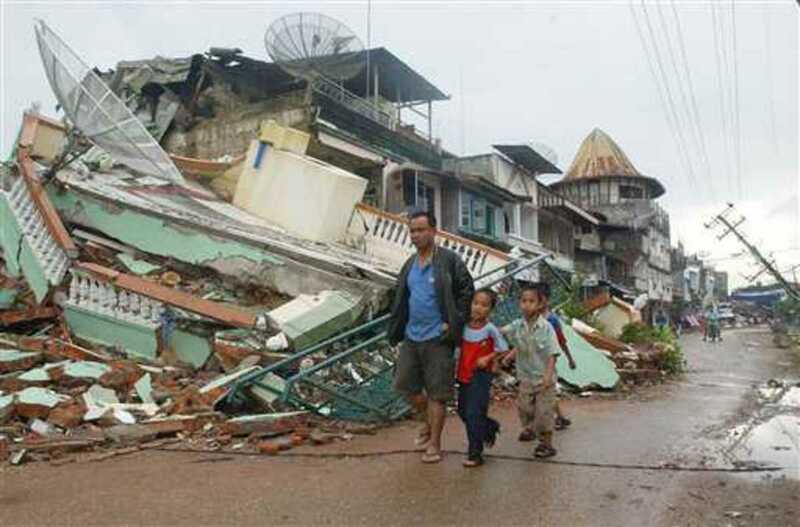 The earthquake caused a large landslide in the bay, which produced a local tsunami of frightening size. 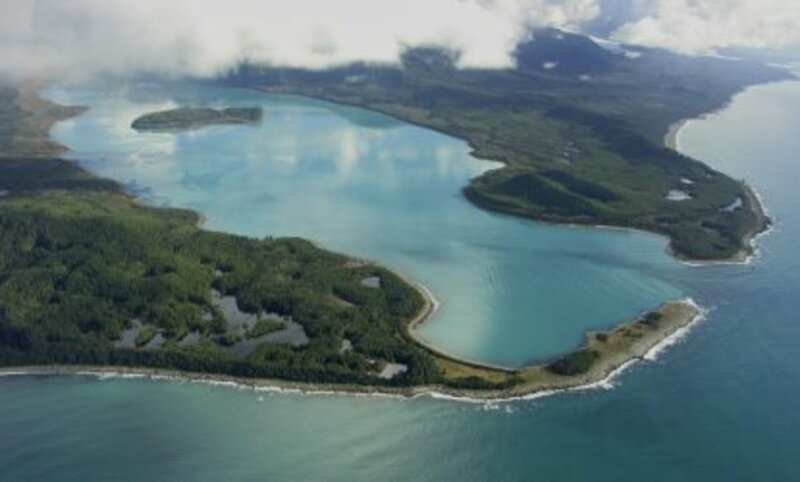 At Yakutat, bridges, docks, and oil lines were damaged, a water tower fell, and a few cabins were destroyed. Large landslides were reported in the mountains. the largest wave was 1720 feet high. 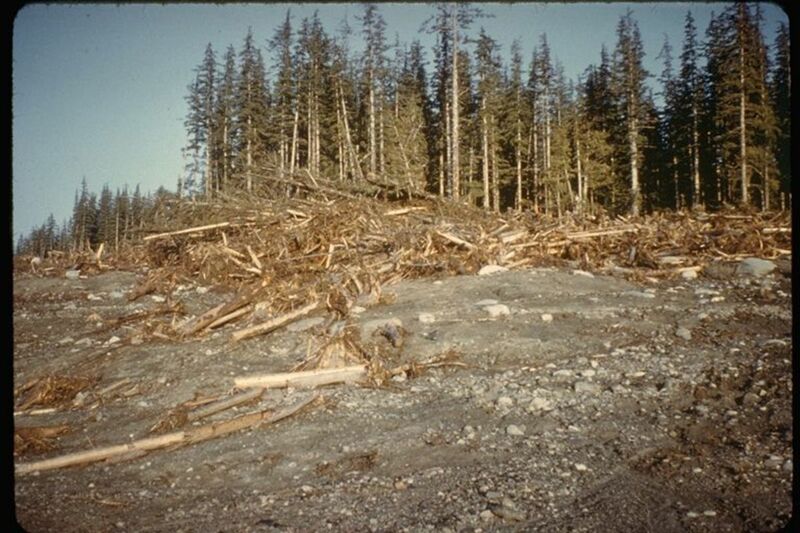 Millions of trees were uprooted and swept away by the wave. This is the highest wave that has ever been known. 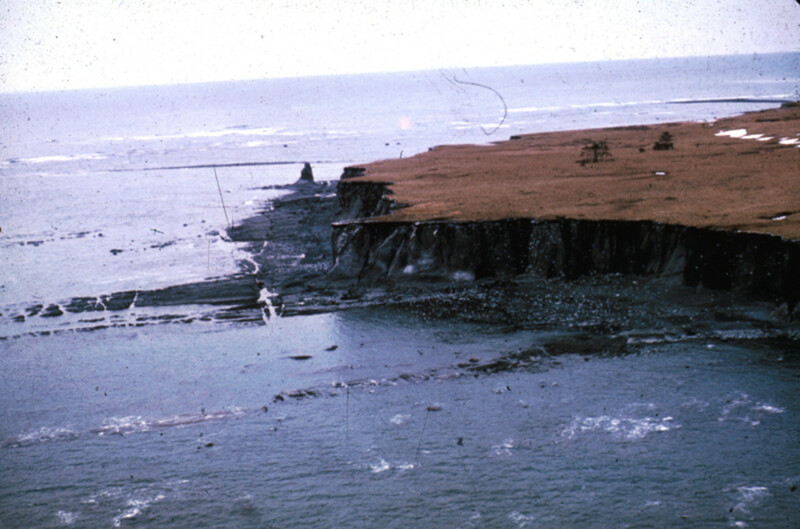 Many sand blows and ground cracks occurred at DryBay and Yakutat and submarine cables were severed in the Haines-Skagway area and at Lena Point. Slight damage also occurred at AukeBay, Barabof, Juneau, Pelican, and Sitka. A massive rockslide occurred at the head of LituyaBay which caused water to rise about 530 meters. A few fishing boats might have disappeared. The earthquake was felt over a large area of southeast Alaska, as far south as Seattle, Washington, and east to Whitehorse, Yukon Territory, Canada. 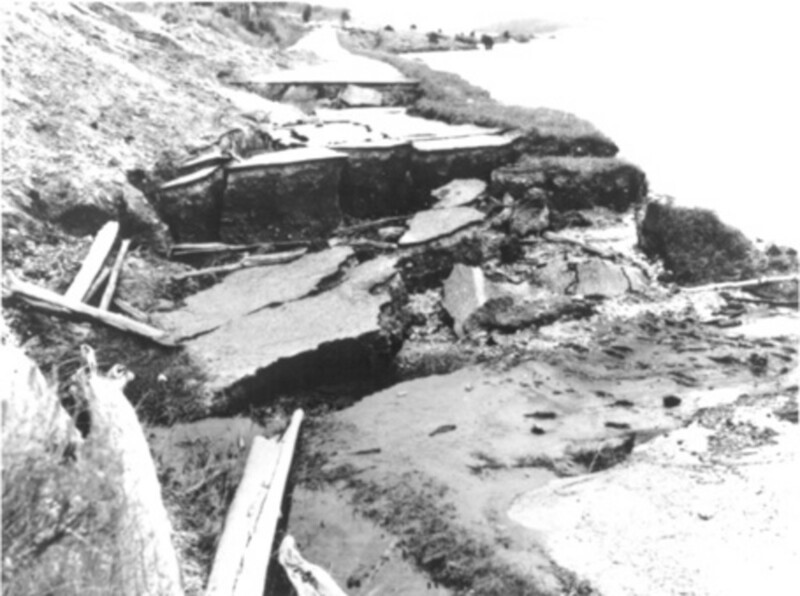 In september 1899 the Yakutat bay was shaken by a series of earthquakes. The most violent one was felt for over 400 kilometers. The main earthquake that caused great destruction was the one on the 10th of September 1899. the devastation was not studied for 6 years. 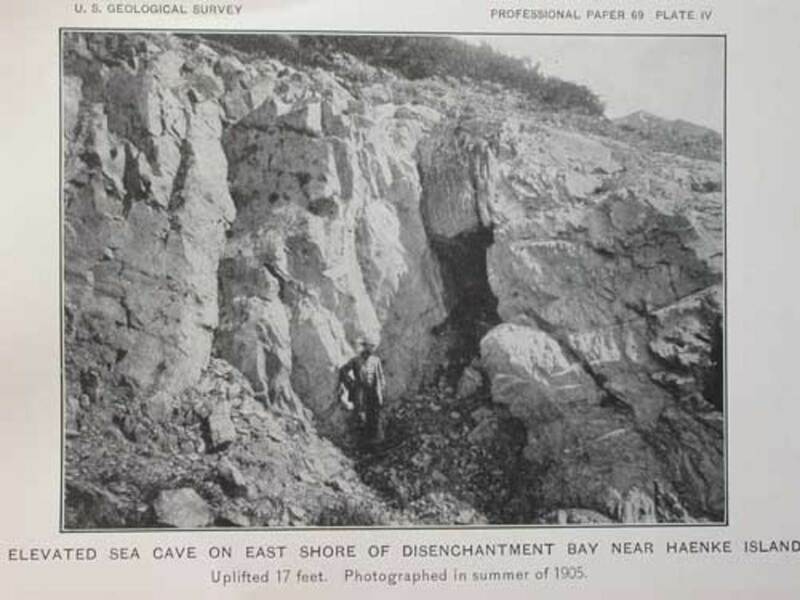 But later it was discovered that an uplift of 14.5 metres occurred on the west coast of DisenchantmentBay throwing people off their feet. 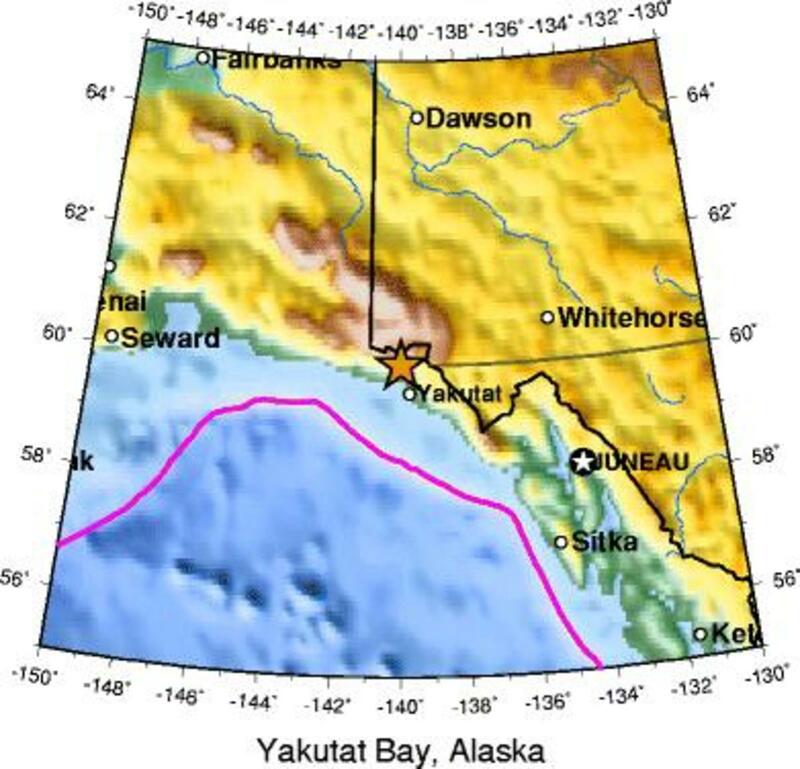 Also a tsunami of 10.6 metres height occurred in the YakutatBay and other places along the Alaskan coast. 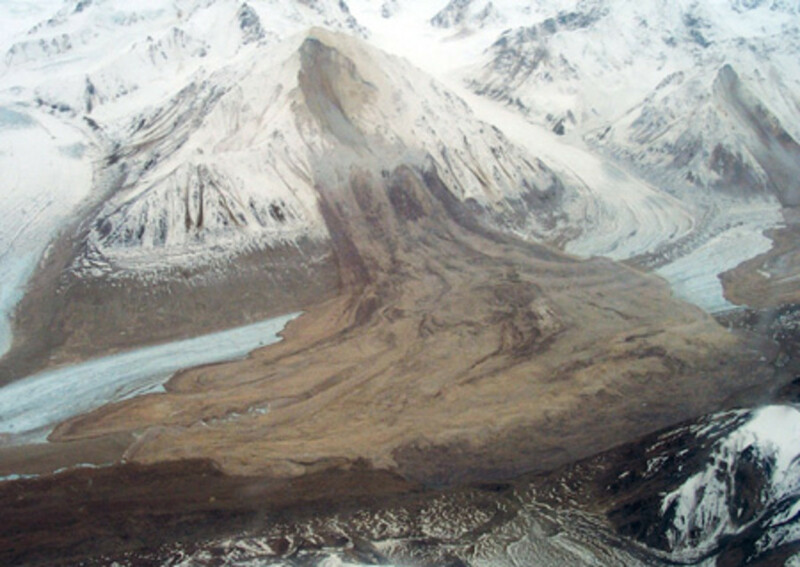 During September, the YakutatBay region was shaken by a series of severe earthquakes. 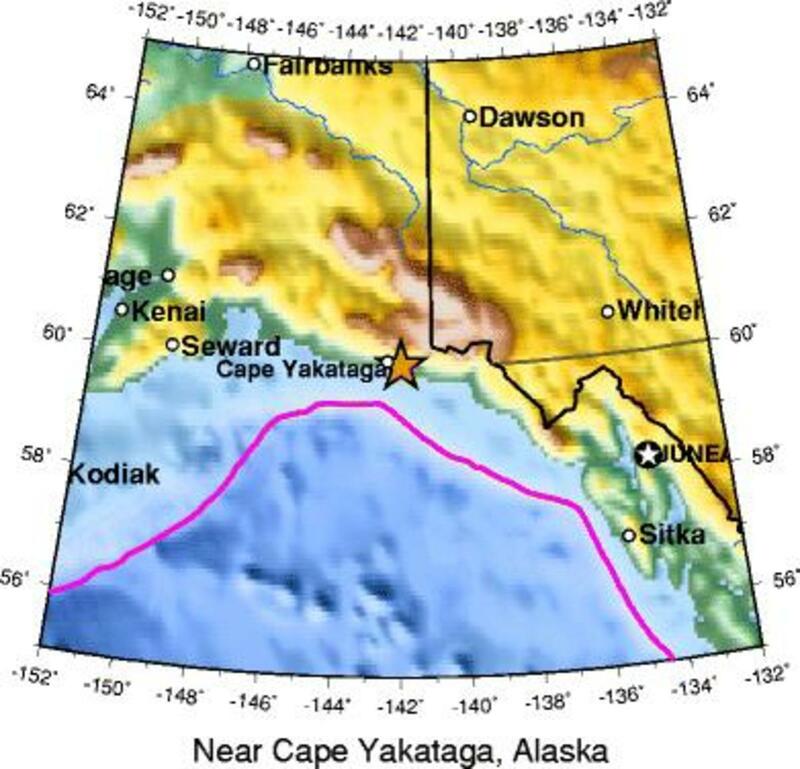 The first earthquake was moderately strong at Yakutat but was extremely violent at CapeYakataga, about 160 kilometers west breaking off the tops of trees, generating landslides, and raising the ocean beach about 1 meter. Although no loss of life or property occurred in the region, reported effects include uplift of the coast, landslides, difficulty in standing upright, water waves on the bay, and shaking of houses. Faulting probably occurred at CapeYakataga. The shock was felt at about 30 known locations, the most distant on the lower Yukon River, about 1,100 kilometers from YakutatBay. Strong aftershocks were observed. 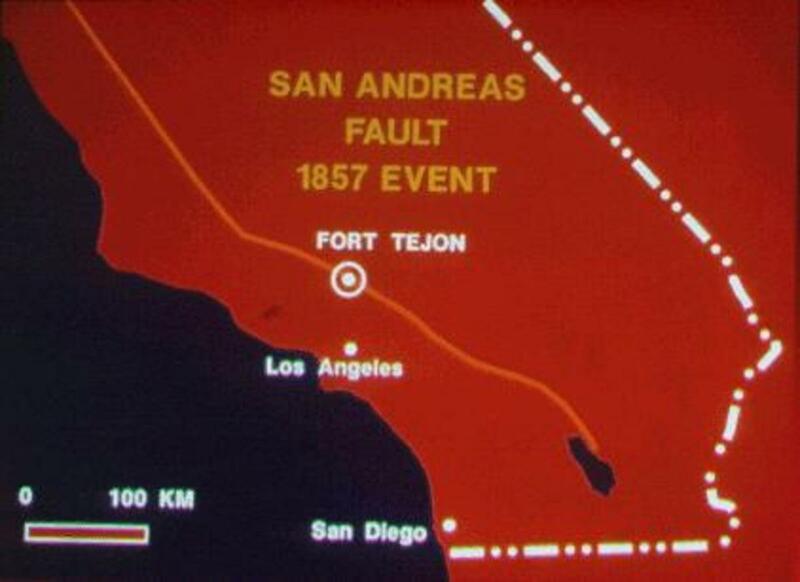 The FortTejon earthquake of 1857 was one of the greatest earthquakes ever recorded in the U.S., leaving an amazing surface rupture scar over 350 kilometers in length along the San Andreas fault. Only two lives were lost due to the fact that California in 1857 was sparsely populated, especially in the regions of strongest shaking. The earthquake caused the current of the Kern River to turn upstream making its water rum four feet deep over its banks. The waters of Tulare Lake were thrown upon its shores, stranding fish miles from the original lake bed. The waters of the MokelumneRiver were thrown upon its banks, reportedly leaving the bed dry in places. The Los AngelesRiver was reportedly flung out of its bed, too. Cracks appeared in the ground near San Bernadino and in the San GabrielValley. 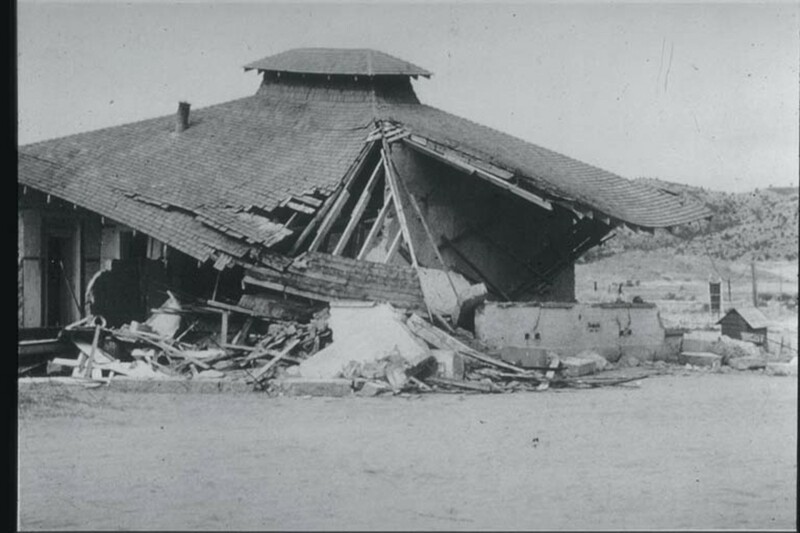 In Ventura, the mission sustained considerable damage, and part of the church tower collapsed. At FortTejon, where shaking was greatest, damage was severe. The epicentre is unknown and hence the place with maximum shake FortTejon is considered as the place of quake. This earthquake caused 77 deaths. Wooden houses were knocked off their foundations in the Keiawa, Punaluu, and Ninole areas and straw houses were torn to shreds. At Kau, the houses and stone walls were thrown down. At Waiohinu, a large stone church collapsed within 10 seconds of the onset of shaking. Ground waves as much as 0.6 meters from ground to crest were observed at Kohala. The motion was so violent at Ulupalakua that it was difficult for people to stand. Ground fissures extended from Pahala to Kilauea. A fissure about 5 kilometers long was reported at Kohuku leading to a volcanic eruption from that fissure a few days later, on April 7 1868. A mass of earth of 3 kilometers wide and 9 meters thick swept down the hillside at Kapapala, carrying with it trees, animals, and people and thirty-one people were killed. 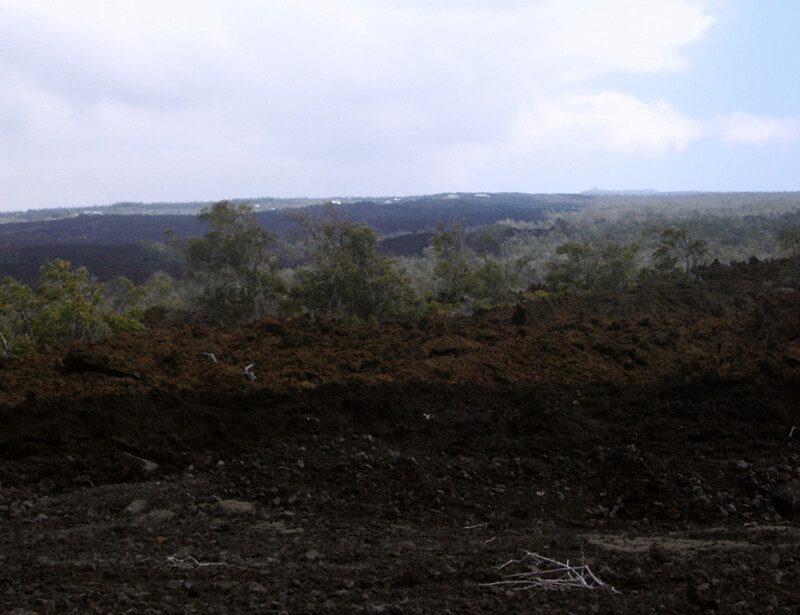 Along the Puna coast from Kapoho to Apua, the land subsided in places as much as 2 meters. 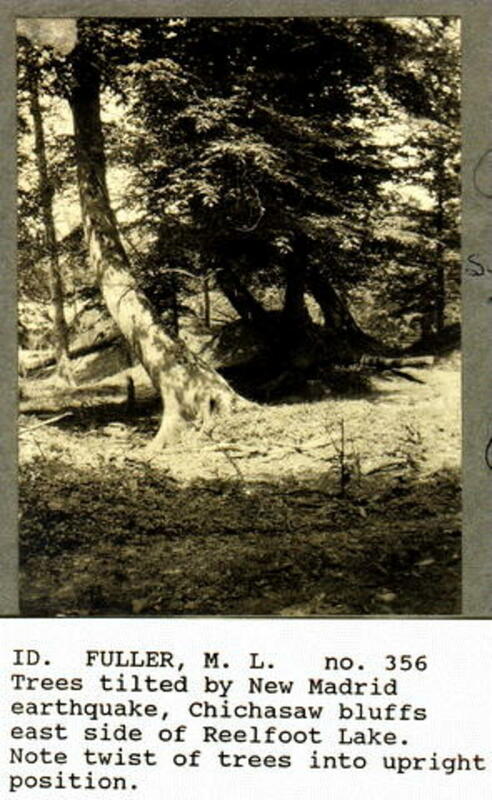 At Kaimu, trees stood about 2.5 meters deep in sand and water. The plain at Kalapana sank about 2 meters, and water stood as much as 1.5 meters deep over 8 hectares dry land. Also a tsunami struck the Kau-Puna coast adding to the devastation at Honuapo, Keauhou, and Punaluu. At Keauhou the water rose 12-15 meters, destroying all the houses and warehouses and drowning 46 people. At Hilo, the height of the wave was about 3 meters, and at Kealakekua, 2 meters. The tsunami also was observed on Maui and Oahu. Also felt on Lanai, Maui, Oahu, and Kauai. The wharf at WoodyIsland was partly destroyed and also chimneys, windows, and crockery were destroyed in Kodiak. About 50 slight aftershocks continued through the next day. 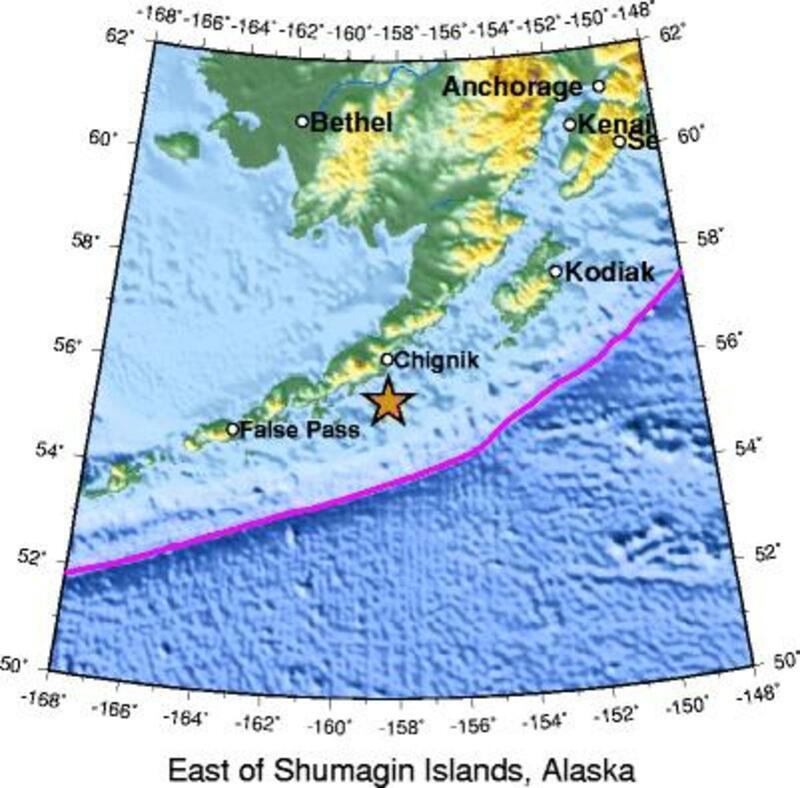 The quake was felt along all of southern Alaska and probably to the west of Kodiak. This earthquake caused damage at Yakutat, northwest of Juneau leading to broken glassware and cracks in plaster, drywall, windows, and a foundation. Light damage occurred at several other towns. There were also cracks in wet ground at Yakutat. Building vibrations were so strong that it was difficult to stand or walk. Two ships in the epicentral area were damaged, and three others in the area felt the shaking strongly. A small tsunami was recorded at Seward, Sitka, and Yakutat. This earthquake had the largest magnitude of any event in the region since that on October 9, 1900. This major earthquake struck 75 miles south of Fairbanks, Alaska. Roads were cracked, pipeline support mechanisms were damaged (designed to sustain a 8.5 magnitude quake) and there were mudslides. The quake was felt throughout the state of Alaska. 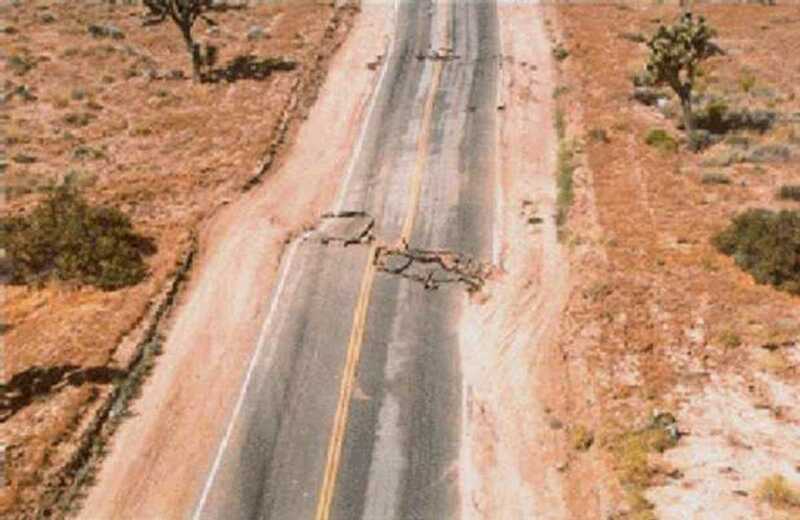 Two major highways were closed due to the cracks caused by the quake. The epicentre was 3 miles below the earth’s surface making the quake more severe. People felt the quake for almost five minutes with many aftershocks and things falling off the shelves. 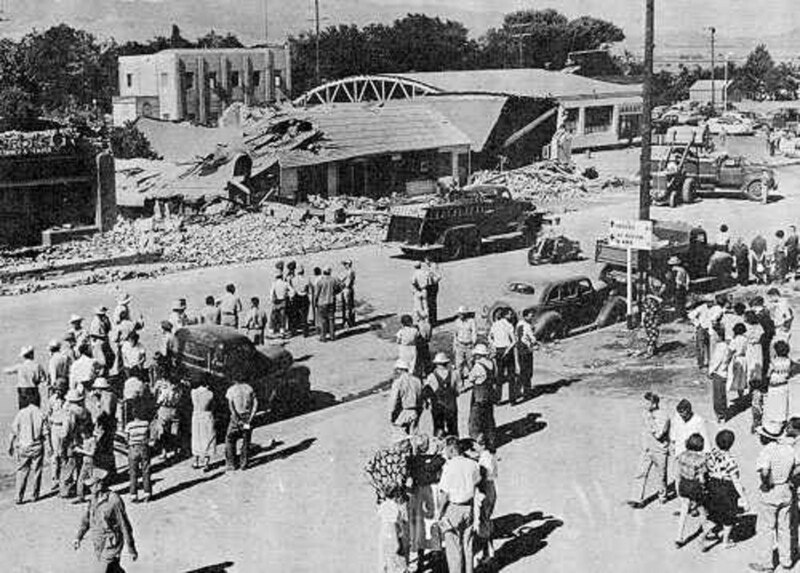 The earthquake occurred at Lone Pine, where 52 of 59 houses were destroyed and 27 people were killed. A few fatalities also were reported in other parts of OwensValley. 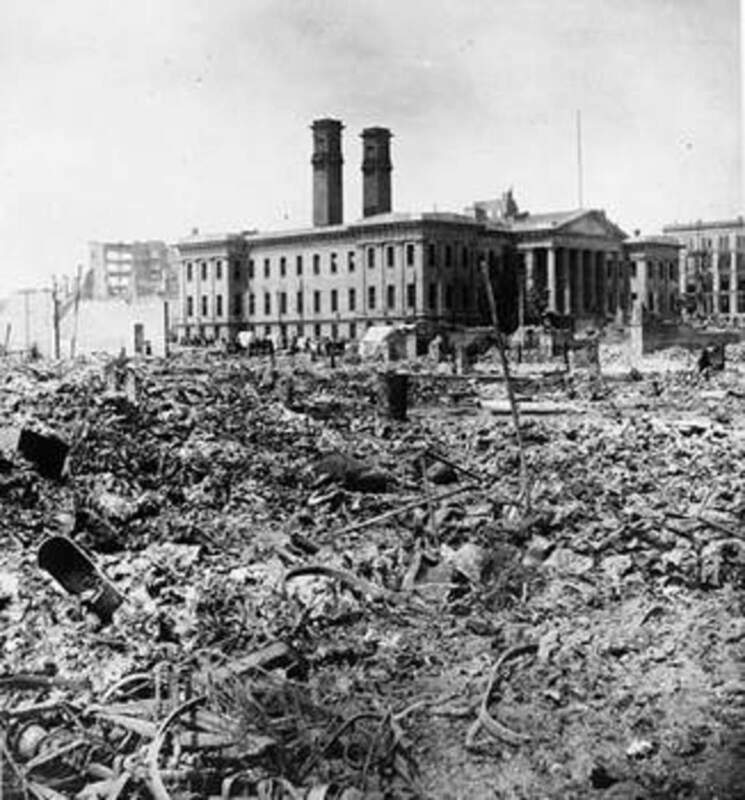 The main buildings were thrown down InyoCounty. At Indian Wells, adobe houses experienced cracks. Property loss has been estimated at $250,000. The shock was felt over most of California and much or Nevada. Thousands of aftershocks occurred, some severe. This quake destroyed all adobe buildings in old Carrizo station in San DiegoCounty and also chimneys and plaster were broken. In ParadiseValley, a church and schoolhouse built on stilts were knocked down and demolished. Ground fissures were reported at McCainValley and JewelValley; rockslides were observed between Campo and Carrizo and at Dulzura and JewelValley. 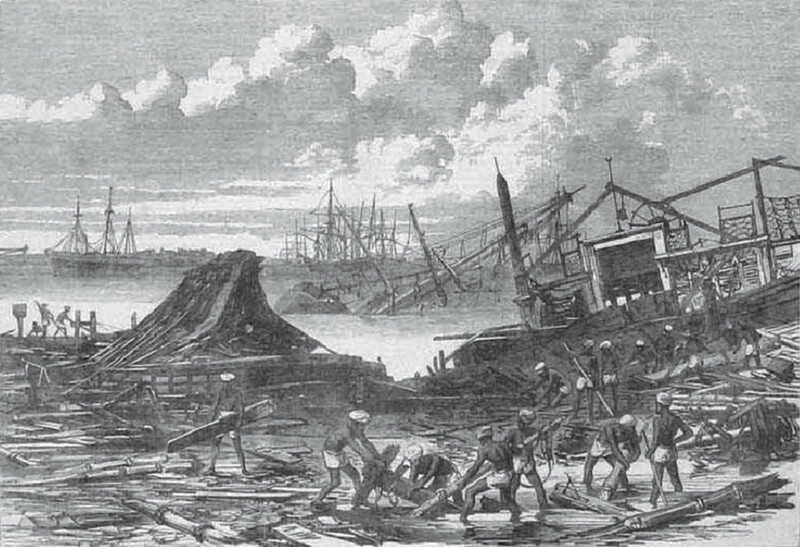 About 155 tremors were felt at Campo during the 12 hours following the main shock, and aftershocks continued there every few days into April 1892. Observers reported that 135 aftershocks were felt as far away as National City, on San DiegoBay and also along the coast to Santa Barbara, east to Yuma, Arizona, and south to San Quintin, Baja California. The tremor was also felt at Visalia, TulareCounty, about 700 kilometers north of San Quintin. This earthquake occurred in the Rat Islands region of the Aleutian Islands and was situated 95 kilometers south-southwest of Amchitka. This earthquake is the largest to occur in North America since the magnitude 7.9 Denali Fault, Alaska earthquake of November 3, 2002, and the largest in the Aleutian Islands since the June 1996 magnitude 7.9 Adak earthquake. There were 182 aftershocks in 17.5 hours of the main shock. The largest aftershock occurred at 7:50 UTC, 11/18 and had a magnitude of 5.7. 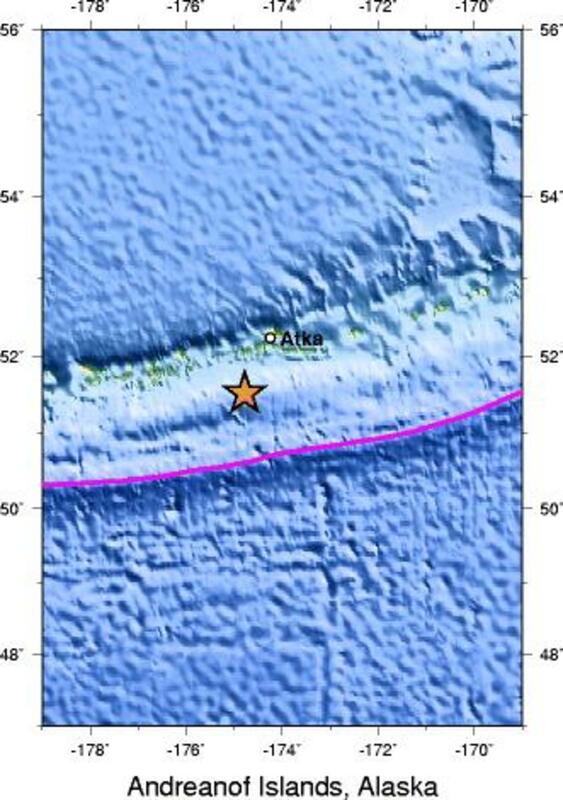 The main shock generated a small tsunami of about 50 cm at Shemya and 12 cm at Adak. This quake occurred at the convergent boundary between the subducting Pacific and overriding North American crustal plates. 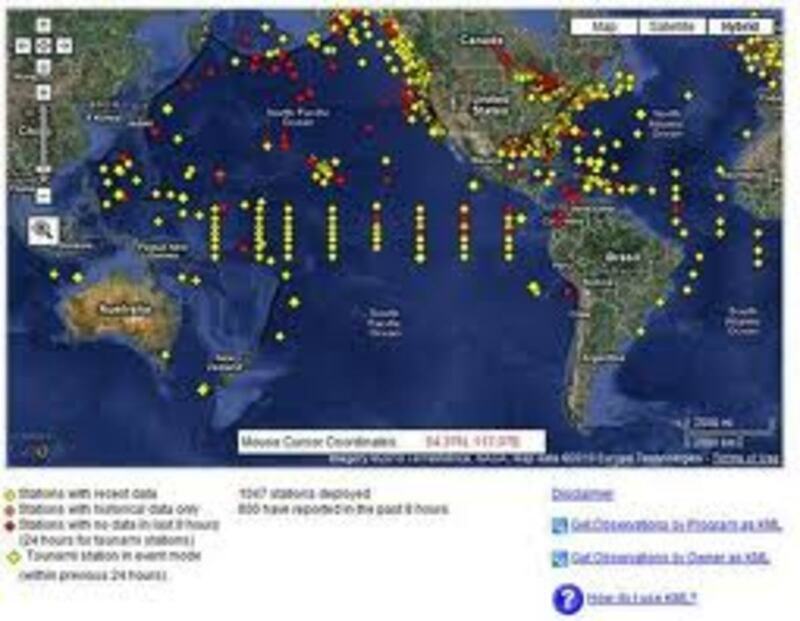 Over one hundred earthquakes of magnitude seven or larger have occurred along this boundary in the past hundred years.The 1965, 8.7 magnitude Rat Islands earthquake ruptured an approximately 600 km-long portion of the plate boundary. This quake shook the 400 residents of New Madrid, Missouri, out of their beds at two in the morning. Huge cracks split the ground. The waters of the Mississippi rose and fell like a great tide. Giant waves rose up and swept north, giving the impression that the river was actually flowing backwards. Boats along the river were engulfed, capsized, and their crews drowned. Old river channels slammed shut and new ones opened, changing the course of the stream forever. One large lake had its water suddenly replaced by sand. Another lake, Reelfoot, was created in a matter of moments. Trees toppled or were drowned when the land sank suddenly beneath them. 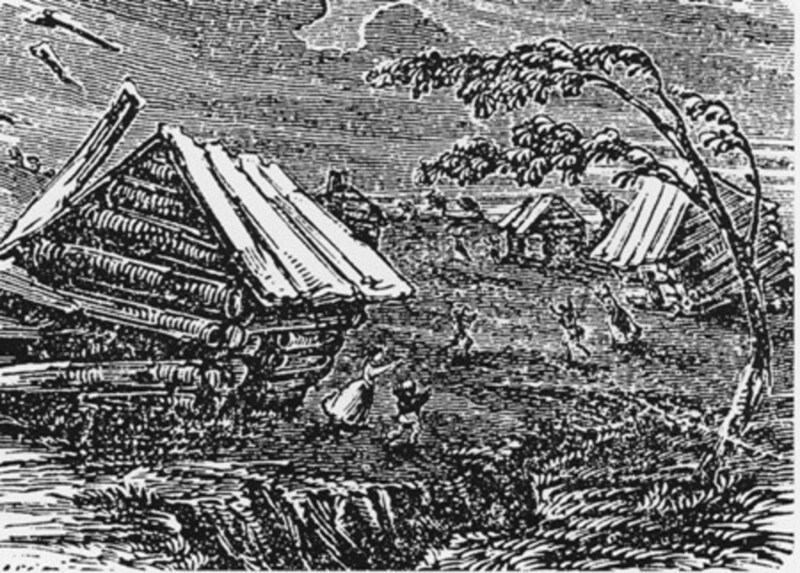 Log cabins scattered like match sticks in New Madrid but, luckily, only one person was killed by falling debris. Damage was reported as far east as Charleston, South Carolina and Washington, DC. In Boston, Massachusetts, 1,000 miles away, church bells were made to ring. The effects of the quake were felt as far south as New Orleans and as far north as Canada. There was a second shock hours later. A third quake rocked the area on January 23 and a fourth the biggest of all was felt on February 7. Between the major quakes, there were thousands of aftershocks. 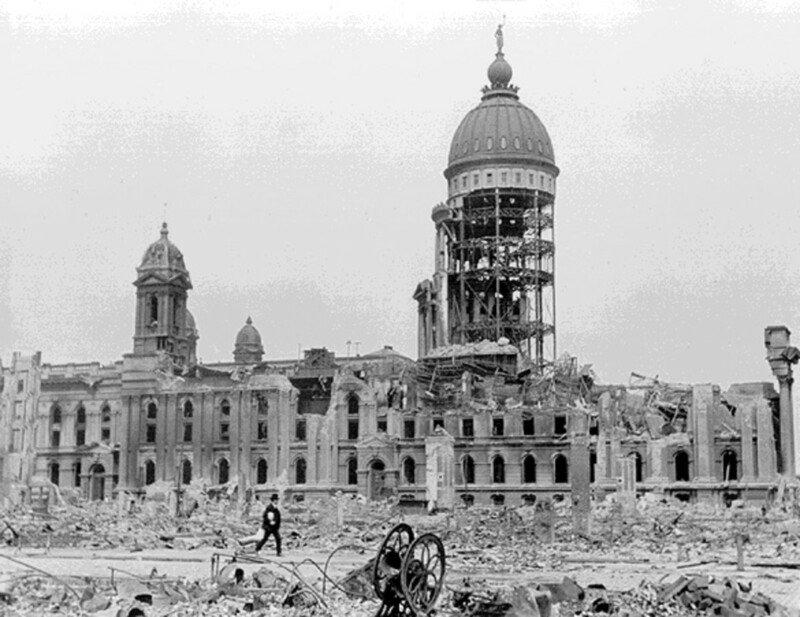 Old City Hall, destroyed in 1906 earthquake. After its collapse, it was discovered that it had been built very shoddily; many walls were full of sand. This earthquake is one of the most devastating in the history of California resulting in fires causing an estimated 3,000 deaths and $524 million in property loss. 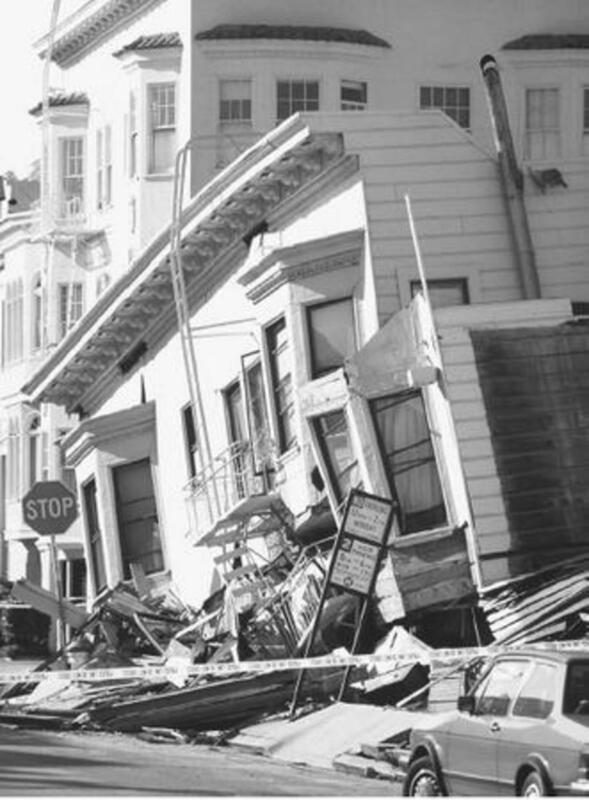 Duration of the shaking in San Francisco was about 1 minute. 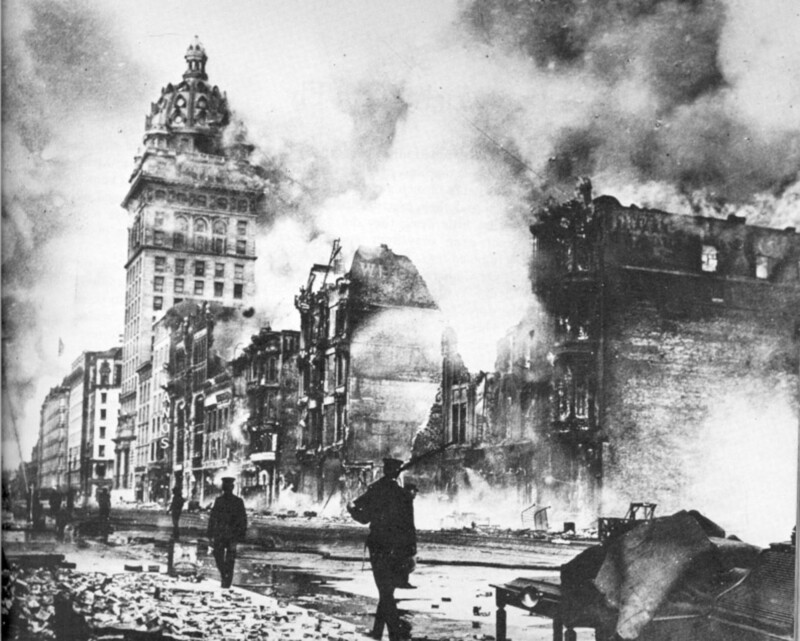 The earthquake damaged buildings and structures in all parts of the city and county of San Francisco. Most chimneys toppled or were badly broken. 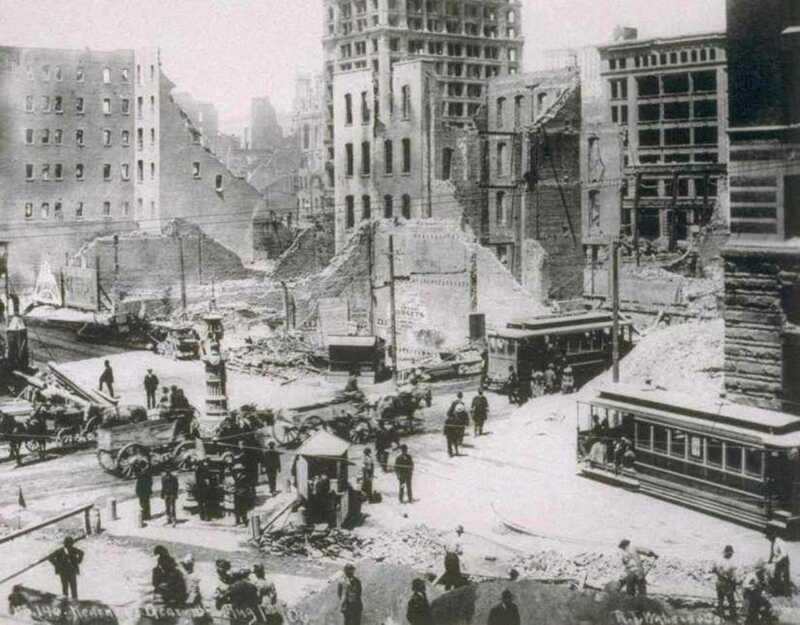 Brick and frame houses of ordinary construction were damaged extensively or destroyed; sewers and water mains were broken; and streetcar tracks were bent into wavelike forms. 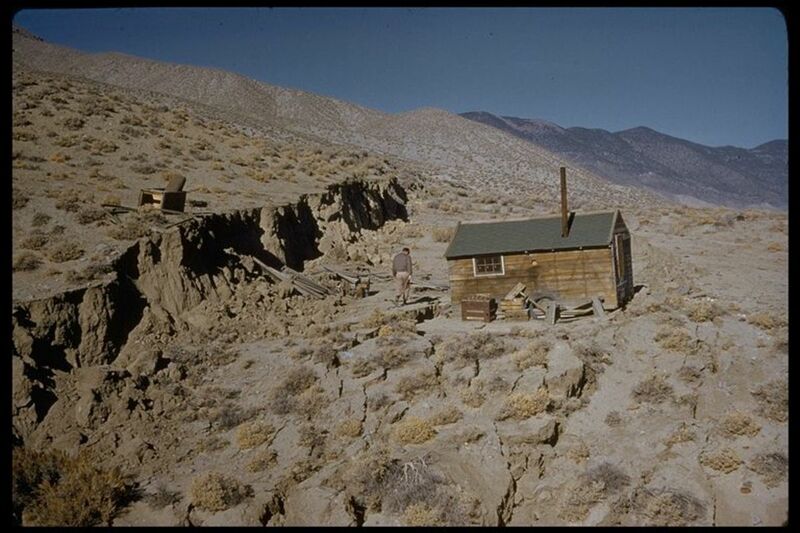 On or near the San Andreas fault, buildings were destroyed and trees were knocked to the ground. The surface of the ground was torn and heaved into furrow-like ridges. One pipeline that carried water from SanAndreasLake to San Francisco was broken, shutting off the water supply to the city. The fires that ignited soon after the onset of the earthquake quickly raged through the city because of the lack of water to control them. 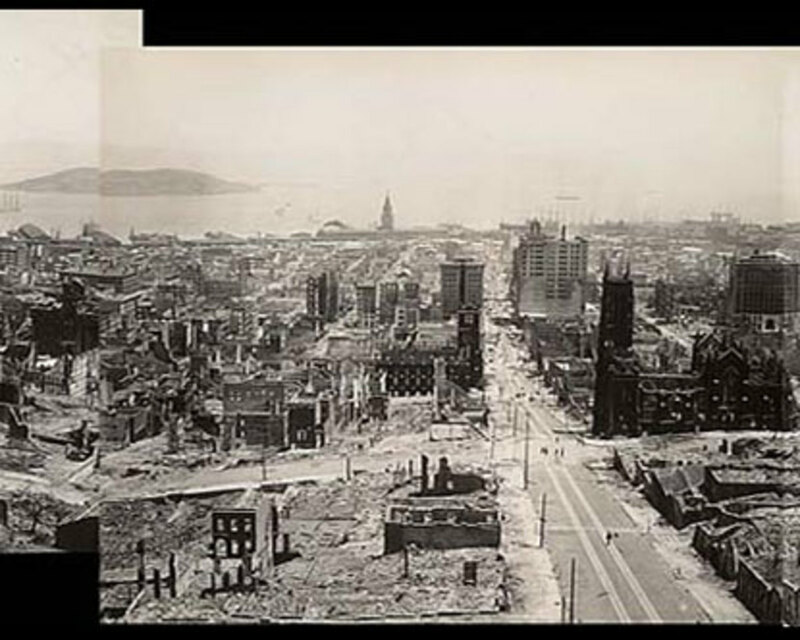 They destroyed a large part of San Francisco and increased the loss at FortBragg and Santa Rosa. Trees swayed violently, and some were broken off above the ground or thrown down. The water in springs and artesian wells either increased or decreased its flow. A few sand craterlets formed in areas where water was ejected through cracks or fissures. Several foreshocks probably occurred, and many aftershocks were reported, some of which were severe. 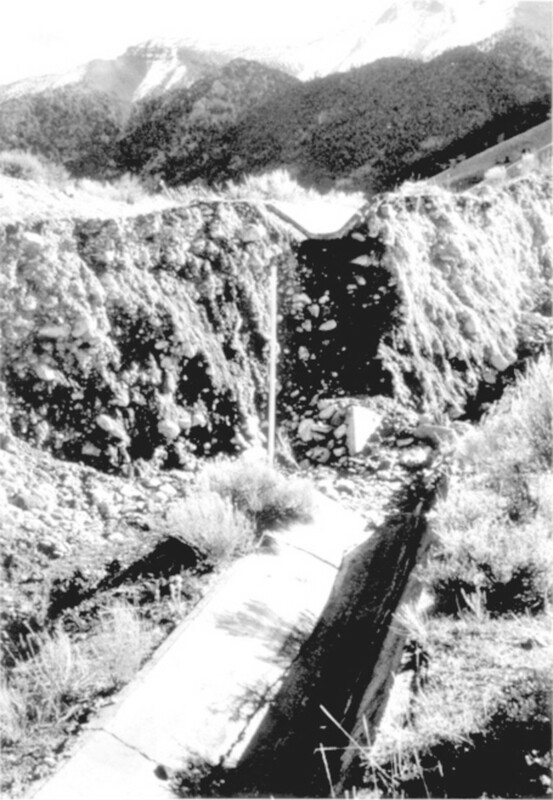 Oblique-slip fault scarp near Pleasant Valley, Nevada -Photo credit U.S. Geological Survey. 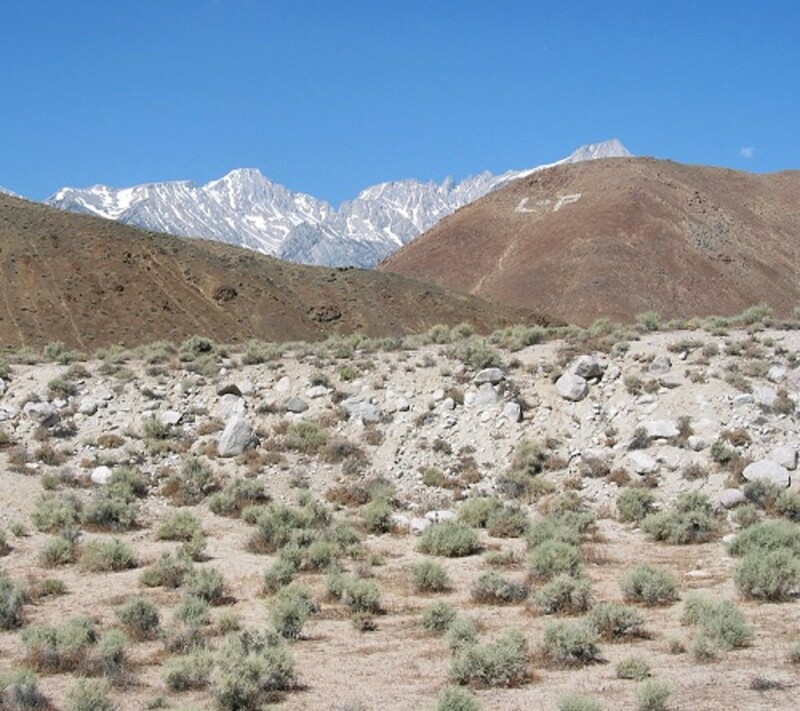 This earthquake occurred along a fault on the eastern side of Pleasant Valley, Nevada. The epicentral region was almost uninhabited, and, therefore, property damage was less than might have been expected. At Kennedy, two adobe houses were destroyed, mine tunnels collapsed, and concrete mine foundations were cracked. At Winnemucca, adobe buildings generally were damaged, and several multistory brick buildings lost their coping and parts of upper walls; many chimneys were demolished above the rooflines. In addition, water tanks were thrown down at BattleMountain, Kodiak, Lovelock, and Parran. Damage occurred on several ranches at the southern end of PleasantValley: and adobe house was shaken down; a masonry chicken house and a hog pen were destroyed; and houses were displaced from their foundations. This earthquake caused a large increase and decrease in the flow of springs and streams throughout northern Nevada. The quake was felt from the State of Oregon to southern California and from the Pacific coast to beyond Salt Lake City, Utah. Two foreshocks and many aftershocks occurred. This quake had a magnitude of 7.6 and the Mississippi River valley was convulsed so severe that it awakened people in cities as distant at Pittsburgh, Pennsylvania, and Norfolk, Virginia. 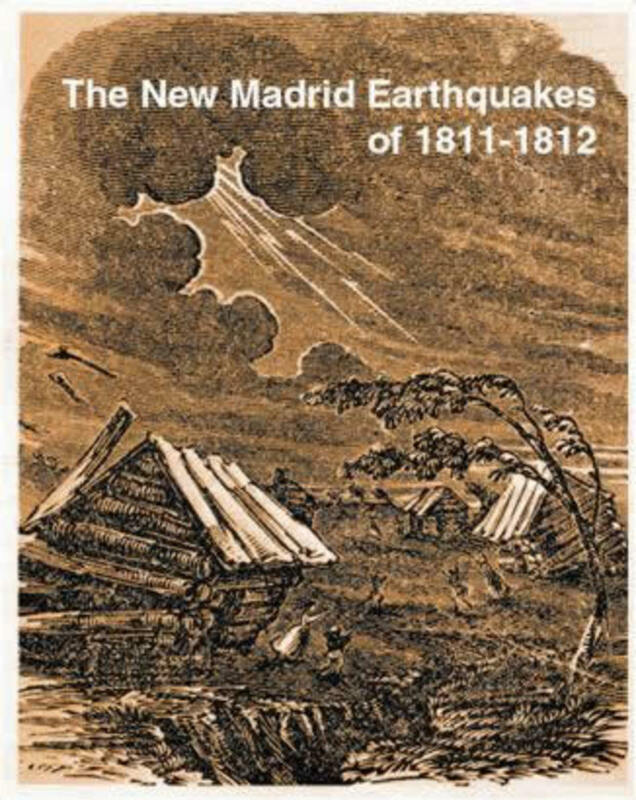 Intermittent strong shaking continued through March 1812 and aftershocks strong enough to be felt occurred through the year 1817. In the Mississippi and Ohio River valleys the earthquakes did much more destruction. 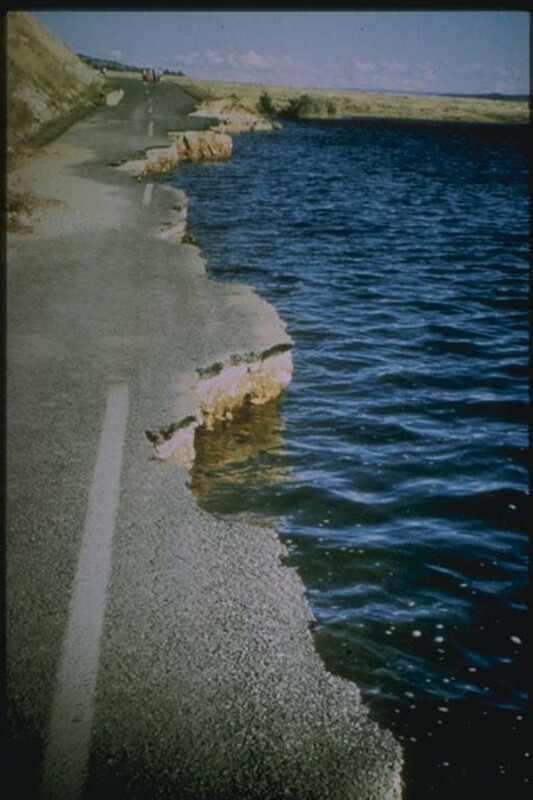 ReelfootLake, in the northwest corner of Tennessee, stands today as evidence of the might of these great earthquakes. Stumps of trees killed by the sudden submergence of the ground can still be seen in ReelfootLake. Uplift of over 3 meters was reported at one locality several hundred kilometers to the southwest of the epicentral zone where a lake formed by the St. Francis River had its water replaced by sand. Numerous dead fish were found in the former lake bottom. 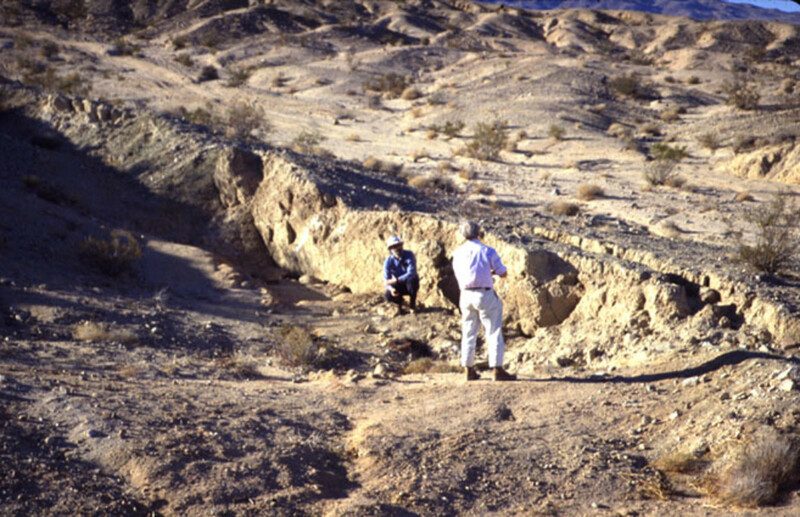 Large fissures were formed in the soft alluvial ground. The earthquake made rich prairie land unfit for farming because of deep fissures, land subsidence which converted good fields to swamps, and numerous sand blows which covered the ground with sand and mud. Entire islands disappeared, banks caved into the rivers, and fissures opened and closed in the river beds. Water spouting from these fissures produced large waves in the river. New sections of river channel were formed and old channels cut off. Many boats were capsized and an unknown number of people were drowned. 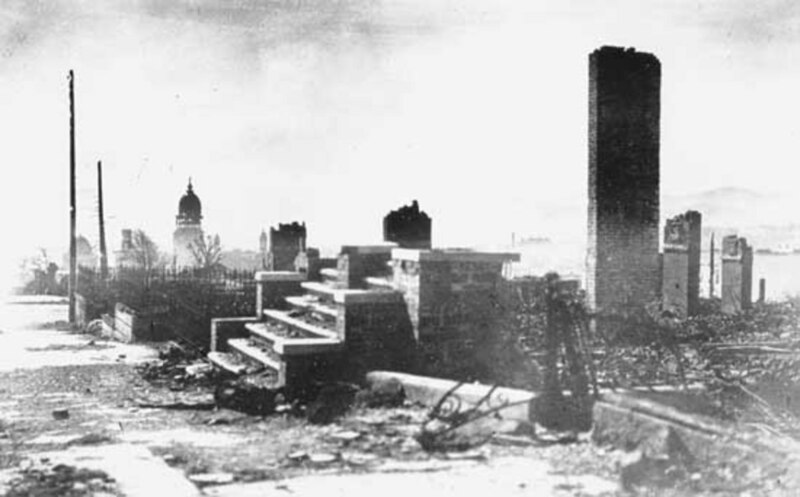 Chimneys were thrown down in Louisville, Kentucky, about 400 kilometers from the epicentral area, and were damaged at distances of 600 kilometers. The quake extended south to the gulf coast, southeast to the Atlantic coast, and northeast to Quebec, Canada. 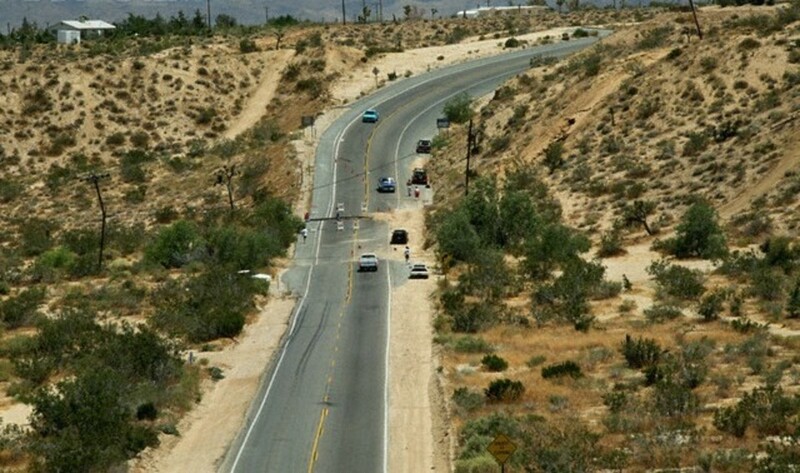 This quake cause one person to be killed at YuccaValley, and two people died of heart attacks, more than 400 people were injured and substantial damage occurred in the Landers, YuccaValley area. 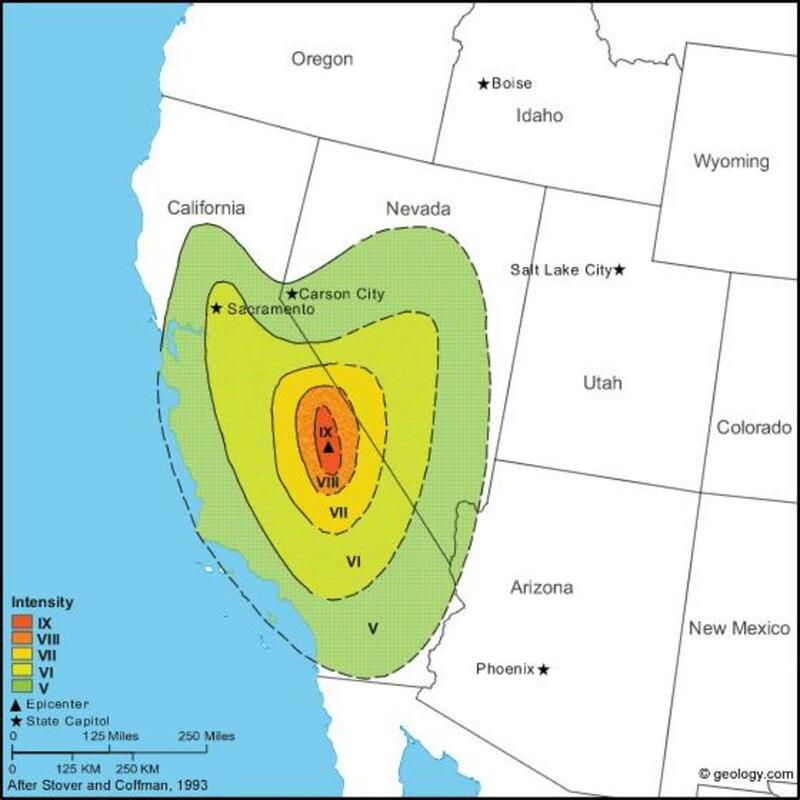 The quake was also felt throughout southern California, southern Nevada, western Arizona and southern Utah, in high-rise buildings as far north as Boise, Idaho, and as far east as Albuquerque, New Mexico, and Denver, Colorado. 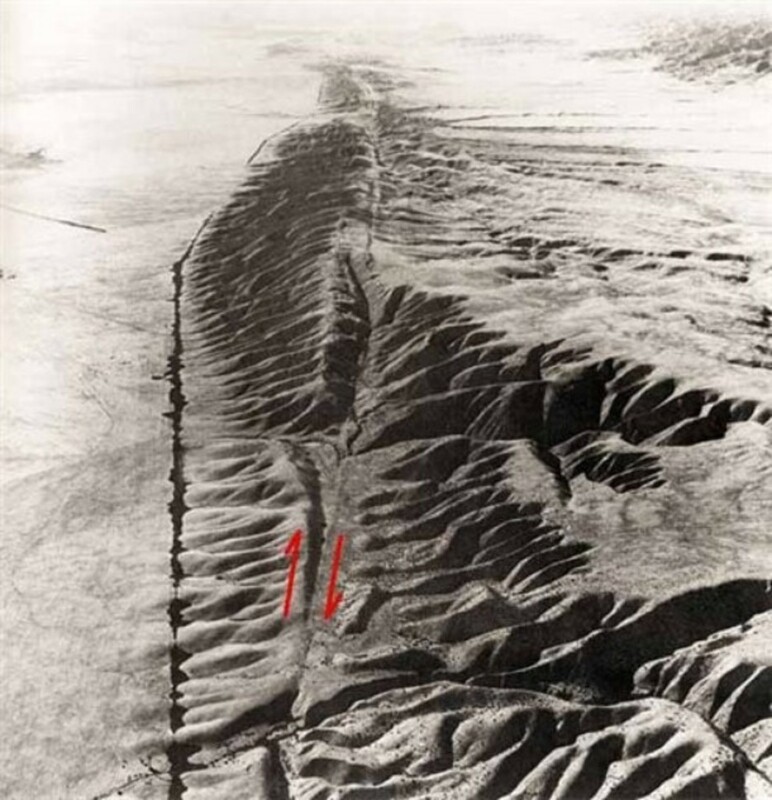 Surface faulting observed along a 70 kilometer segment from Joshua Tree to near Barstow with as much as 5.5 meters of horizontal displacement and as much as 1.8 meters of vertical displacement. Seiches were reported as far north as Lake Union, Washington, and as far east as Aurora, Colorado, and Corpus Christi, Texas. 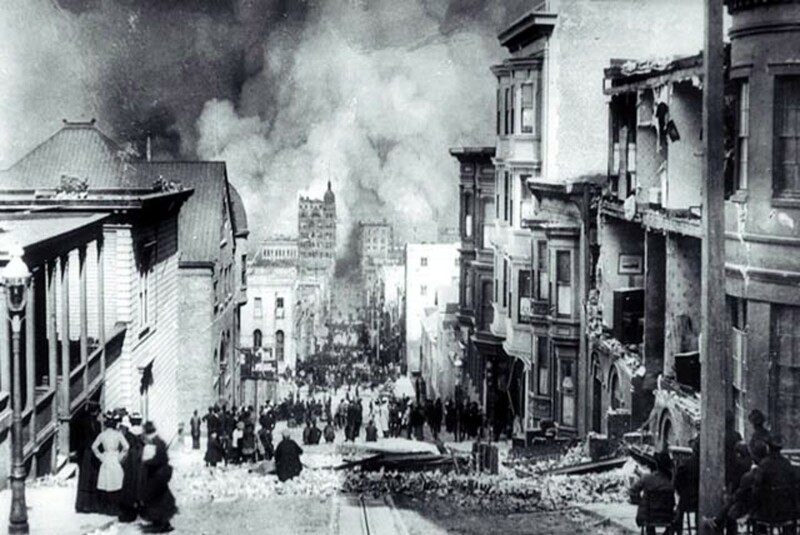 This earthquake was the largest in the United States since the San Francisco shock of 1906. It claimed 12 lives and caused property damage estimated at $60 million. 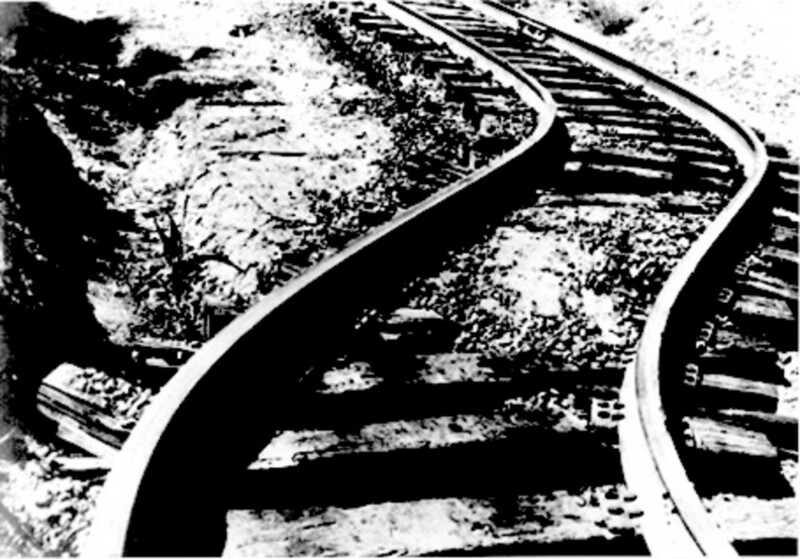 There, the earthquake cracked reinforced-concrete tunnels having walls 46 centimeters thick at the Southern Pacific Railroad southeast of Bealville; it shortened the distance between portals of two tunnels about 2.5 meters and bent the rails into S-shaped curves. At OwensLake (about 160 kilometers from the epicenter), salt beds shifted, and brine lines were bent into S-shapes. 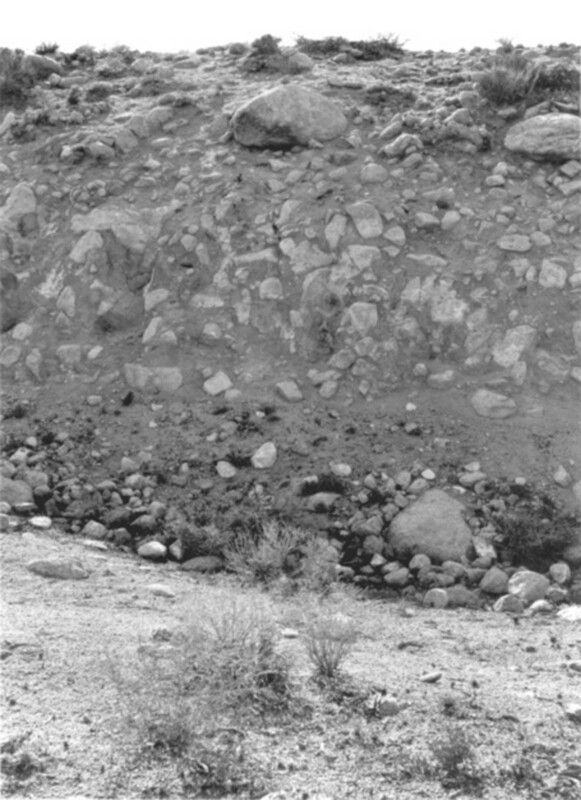 Many surface ruptures were observed along the lower slopes of Bear Mountain, in the White Wolf fault zone. 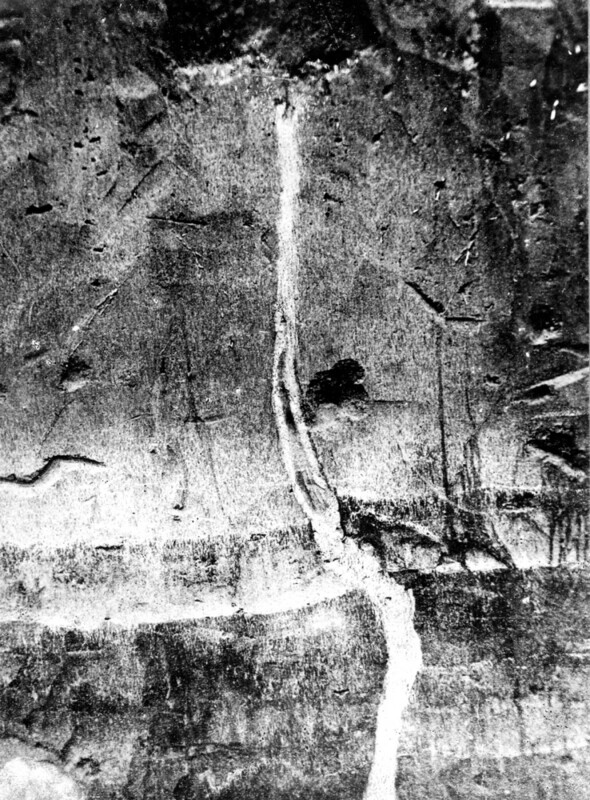 The somewhat flat, poorly consolidated alluvium in the valley was erratically cracked and recontoured. The cracking along Bear Mountain indicated that the mountain itself moved upward and to the north. Southwest of Arvin, on the San JoaquinValley floor, ground cracks traversed and spilt the concrete foundation on one house, causing partial collapse. 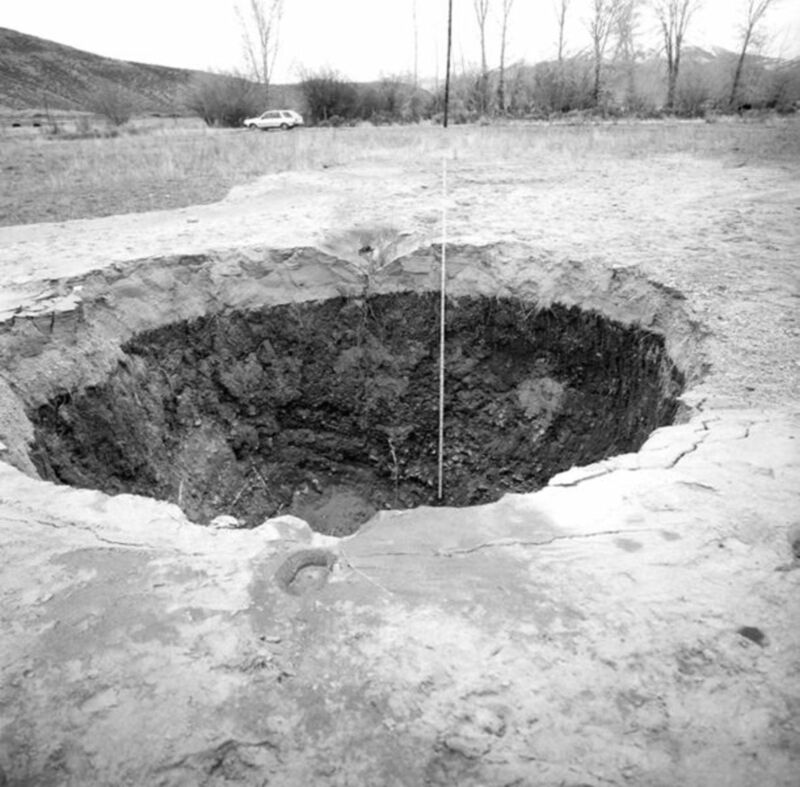 East of Caliente, one large crack, about 1.5 meter at its widest point and more than 60 centimeters deep, was observed. 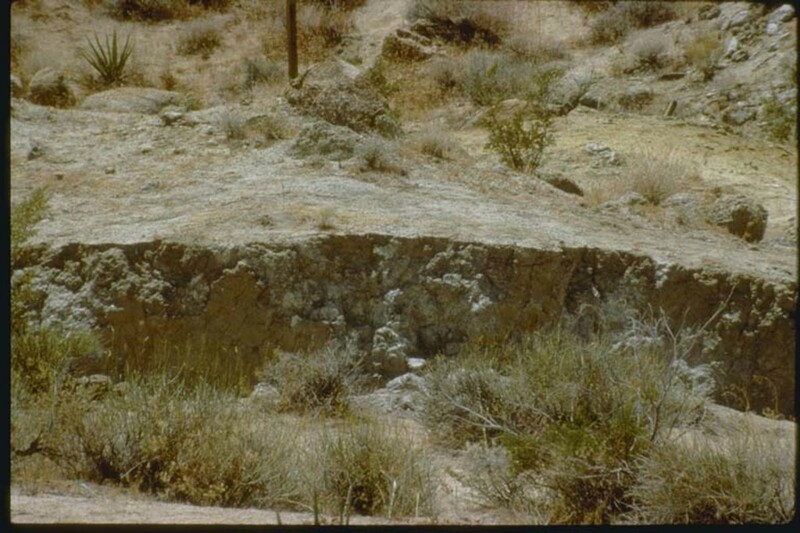 At Tehachapi, Bakersfield, and Arvin, old and poorly built masonry and adobe buildings were cracked, and some collapsed. In Bakersfield cracks formed in many brick buildings, and older school buildings were damaged somewhat. 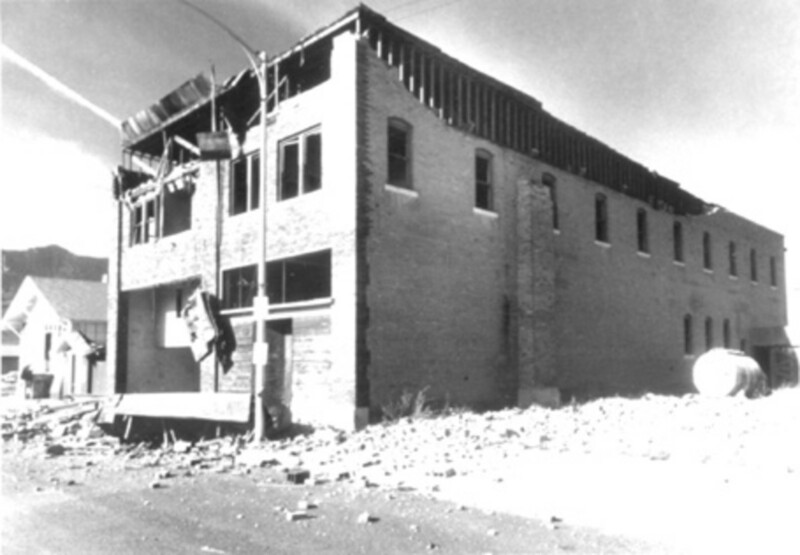 The Kern GeneralHospital was damaged heavily. Water splashed from swimming pools as far distant as the Los Angeles area, where damage to tall buildings was extensive. Water also splashed in pressure tanks on tops of buildings in San Francisco. At least one building was damaged in San Diego, and in Las Vegas, Nevada, a building under construction required realignment of the structural steel. 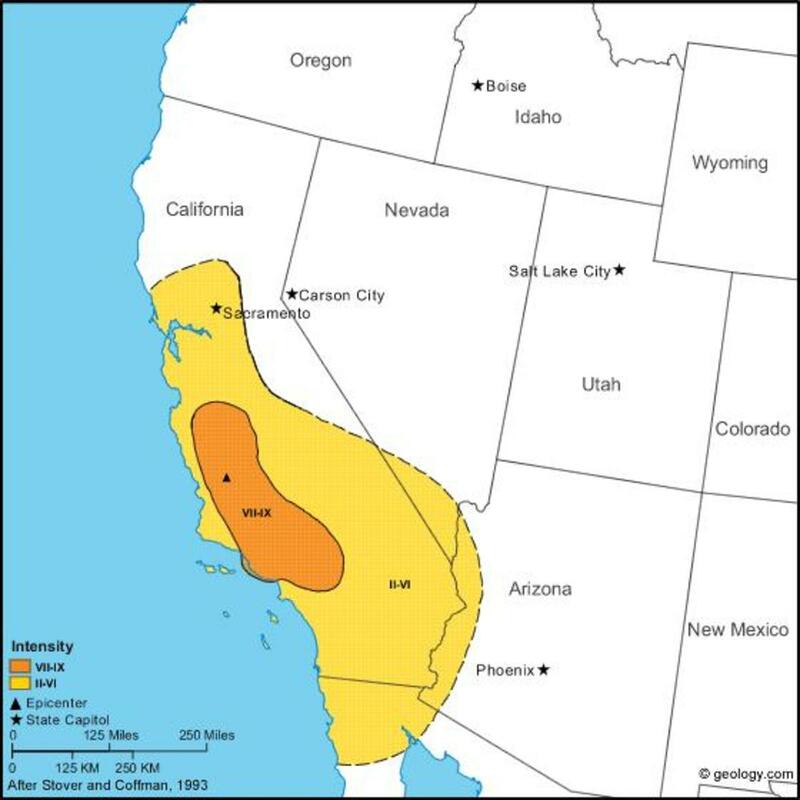 The main shock was felt over most of California and in parts of western Arizona and western Nevada. It was observed at such distant points as Stirling City, California, Phoenix, Arizona, and Gerlach, Nevada. 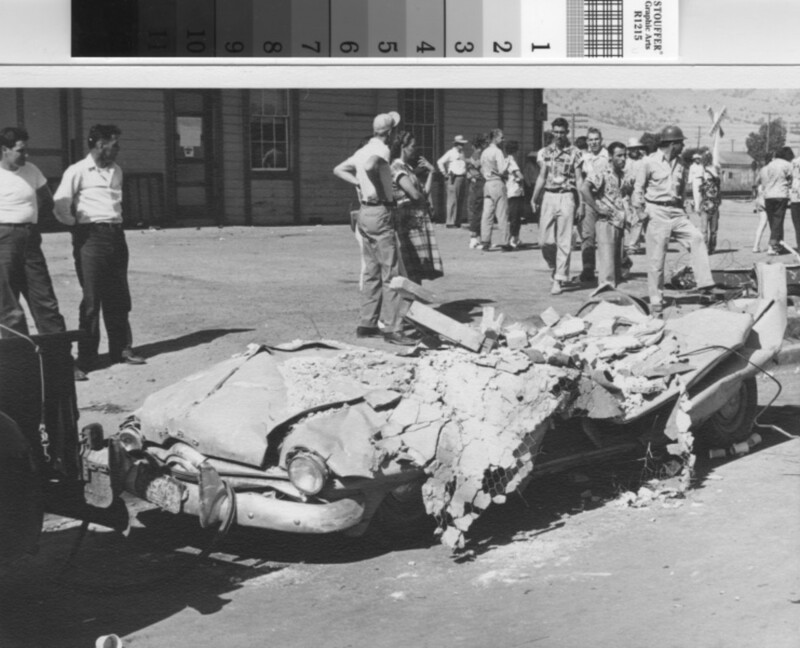 The California Institute of Technology at Pasadena recorded 188 aftershocks of magnitude 4.0 and higher through September 26, 1952; six aftershocks on July 21 were of magnitude 5.0 and higher. The quake caused severe damage to property in the areas west and north of Lompoc. Chimneys were wrecked at several towns, including Arroyo Grande, Berros, Guadalupe, Halcyon, Lompoc, Los Alamos, and Nipomo. 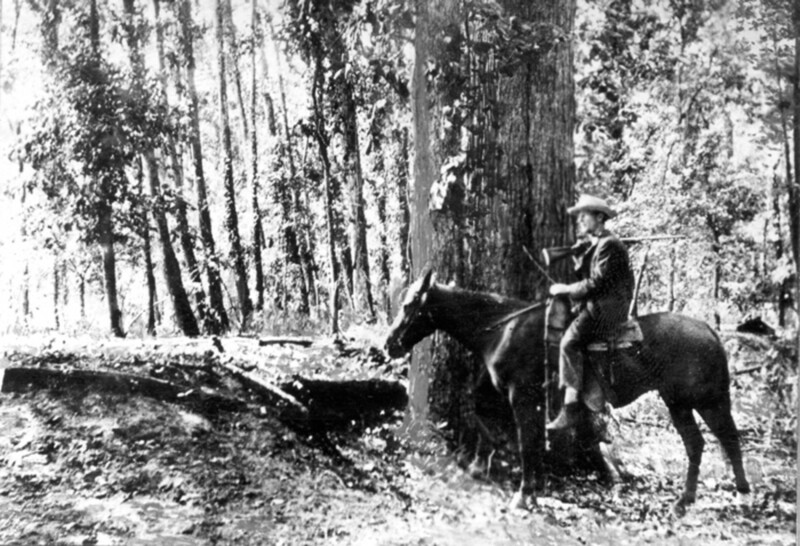 On the Roberd's ranch, an earthquake fountain created between 10 and 20 sand craters; lurches and cracks were observed in the water-soaked soil. The Roberd ranch house was shifted on its foundation about 5 centimeters, and small outbuildings were pushed from their foundations. The walls of a poorly built block building collapsed at White Hills. At Santa Maria and other towns in the area, chimneys were damaged, old brick walls and interior walls formed cracks, and cornices fell. 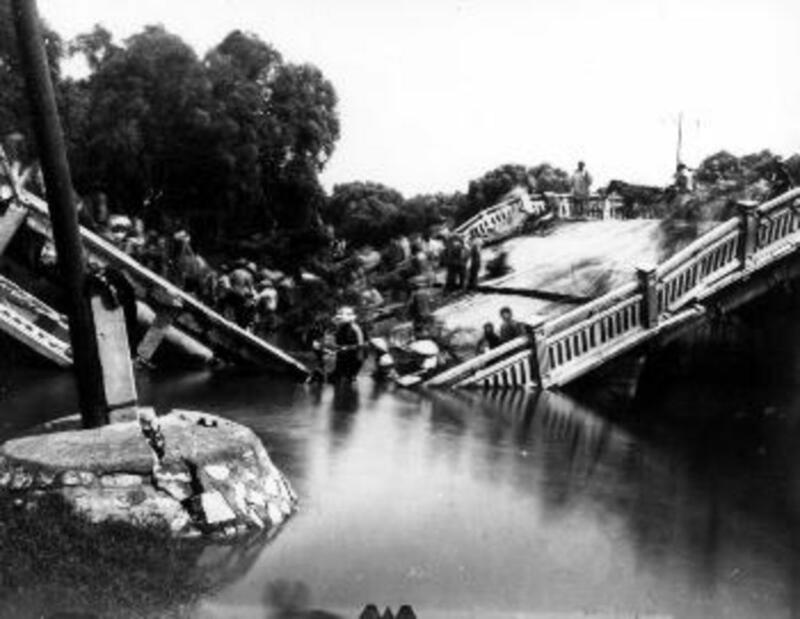 Near Surf, west of Lompoc, the Southern Pacific Railroad bridge was thrown out of alignment near its center; a concrete highway was cracked; and small rockslides and earthslides occurred. Cracks formed in the ground about 6.5 kilometers north of Arlight. Felt from Morgon Hill south to Redondo Beach and from the coast east to Kernville. A tsunami was recorded on tide gages at San Francisco, La Jolla, San Diego, and Fort Point, and waves were observed at Pismo, Port San Luis and Surf. Many aftershocks occurred. The earthquake was accompanied by offsets along many faults in the four main zones of a north-trending belt 96 kilometers long by 32 kilometers wide. 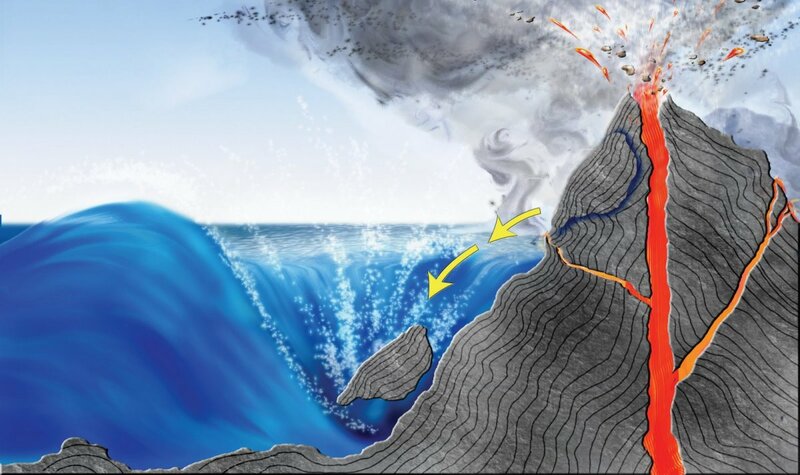 Minor geologic effects were changes in the flow of springs and wells, formation of craters and water fountains, landslips and landslides, mudflows, and rockfalls. 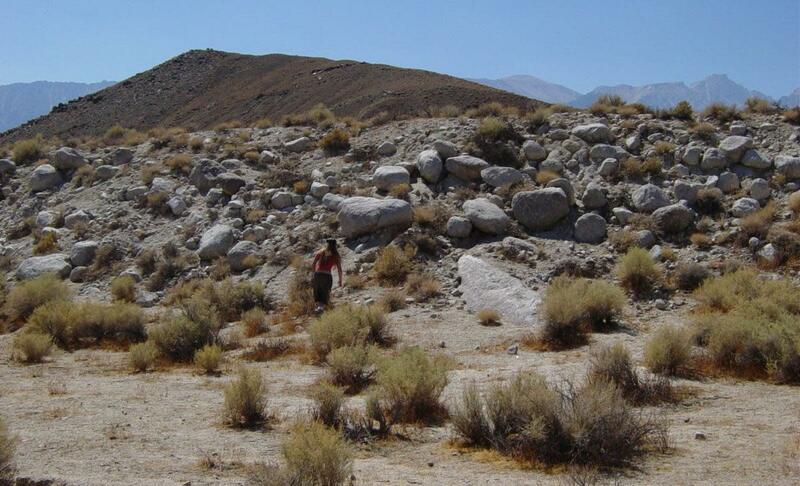 The population was sparse in the epicentral region of this earthquake, and few man-made structures existed. 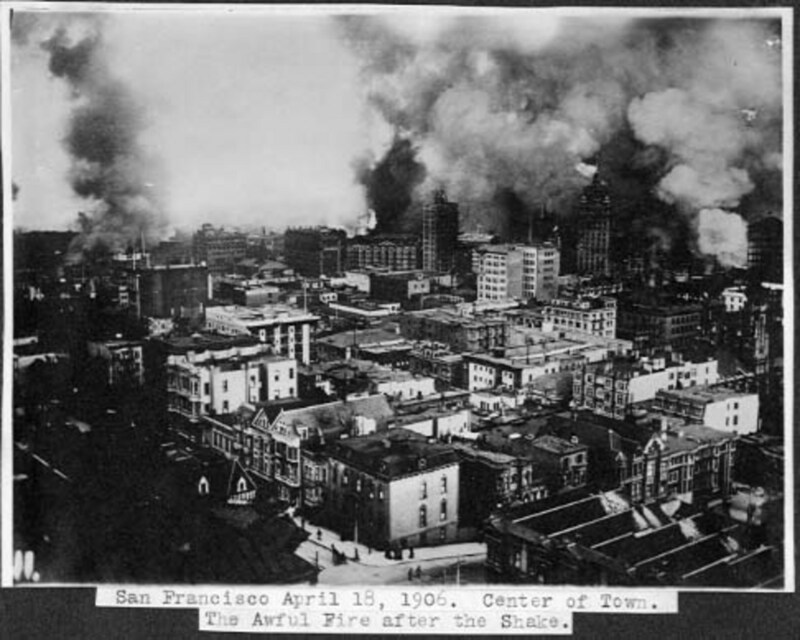 Damage to structures, therefore, was minor despite the geologic and seismographic evidence of a major earthquake. 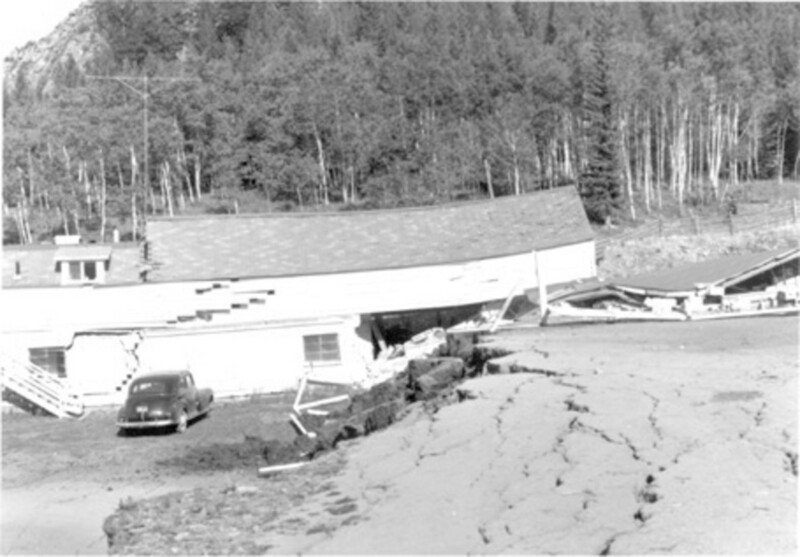 Heavy furniture were displaced at Frenchman Station, about 11 kilometers west of major surface faulting, but damage to buildings was negligible. Differential settlement of about 10 centimeters that occurred under a wood-frame store resulted in minor cracking of the building. 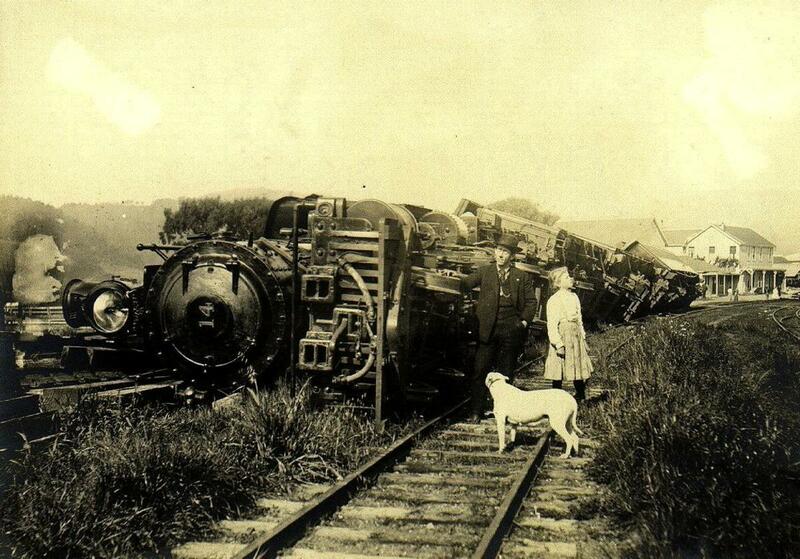 Damage at Fallon, about 48 kilometers west of the nearest major surface break, was limited to a few toppled chimneys. Hundreds of aftershocks occurred. The main earthquake also was felt in Arizona, California, Idaho, Oregon, and Utah. This earthquake caused 28 fatalities and about $11 million in damage to highways and timber. It is characterized by extensive fault scarps, subsidence and uplift, a massive landslide, and a seiche in HebgenLake. 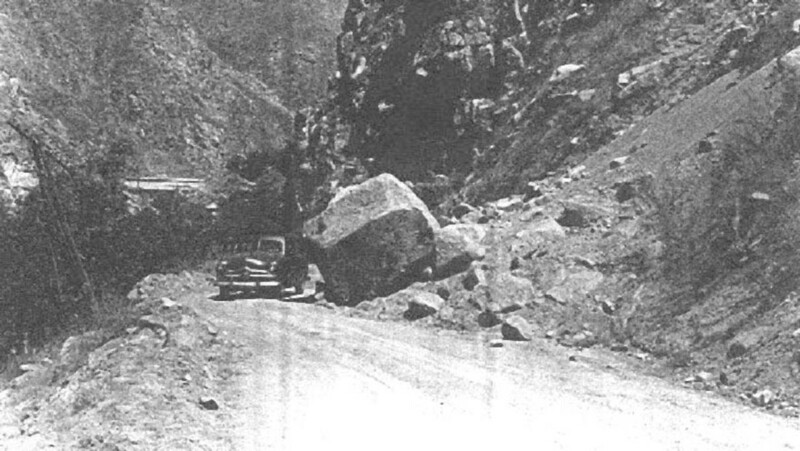 The most disastrous effect of the earthquake was the huge avalanche of rock, soil and trees that cascaded from the steep south wall of the Madison RiverCanyon. 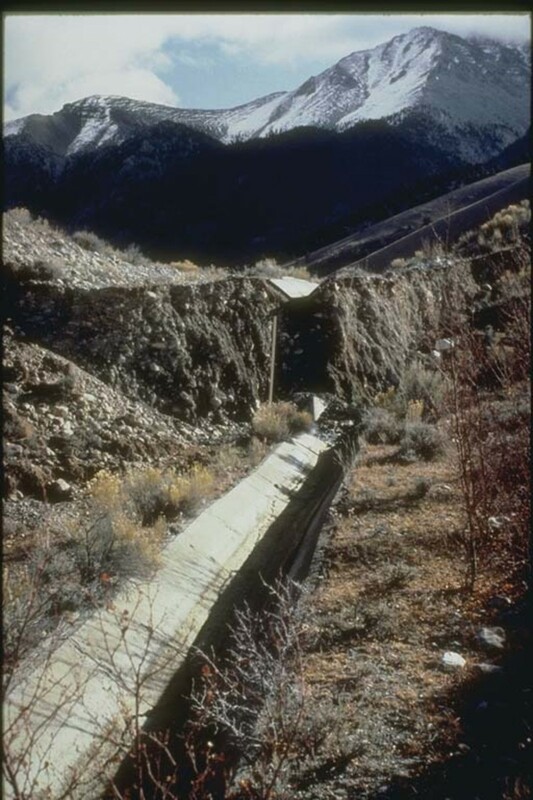 This slide formed a barrier that blocked the gorge and stopped the flow of the Madison River and, within a few weeks, created a lake almost 53 meters deep. The volume of material that blocked the Madison River below Hebgen Dam has been estimated at 28 - 33 million cubic meters. Most of the 28 deaths were caused by rockslides that covered the Rock Creek public campground on the Madison River, about 9.5 kilometers below Hebgen Dam. Many summer houses in the HebgenLake area were damaged: houses and cabins shifted off their foundations, chimneys fell, and pipelines broke. Highway damage near HebgenLake was due to landslides slumping vertically and flowing laterally beneath pavements and bridges, which caused severe cracks and destruction. High intensities were observed in the northwest section of YellowstoneNational Park. Here, new geysers erupted, and massive slumping caused large cracks in the ground from which steam emitted. Many hot springs became muddy. 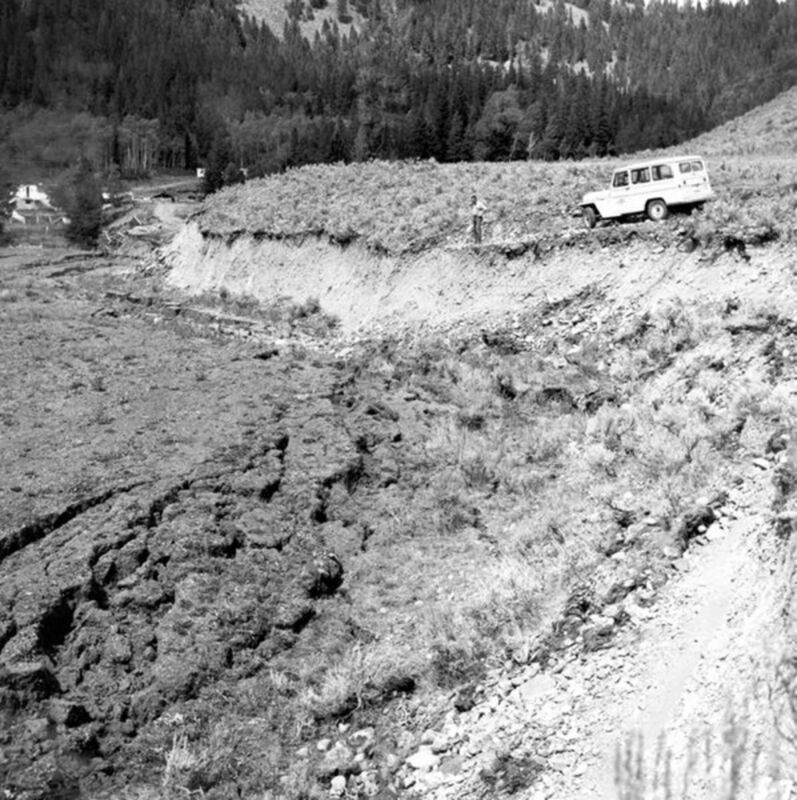 Fault scarp more than 1.8m in height, northwest of Mackay, Idaho, caused by the October 28, 1983, earthquake. The Borah Peak earthquake is the largest ever recorded in Idaho, both in terms of magnitude and in amount of property damage. It caused two deaths in Challis, and an estimated $12.5 million in damage in the Challis-Mackay area. 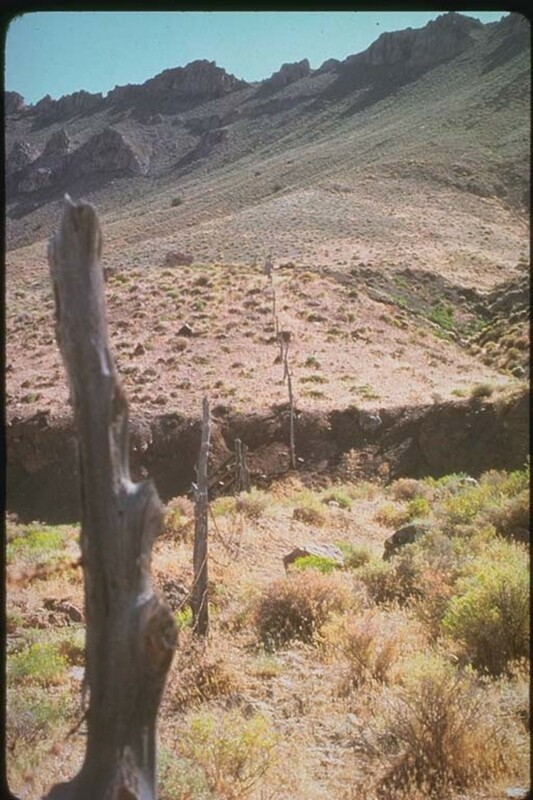 Severe surface faulting was associated with this earthquake, a 34 kilometer long northwest trending zone of fresh scarps and ground breakage on the southwest slope of the Lost River Range. 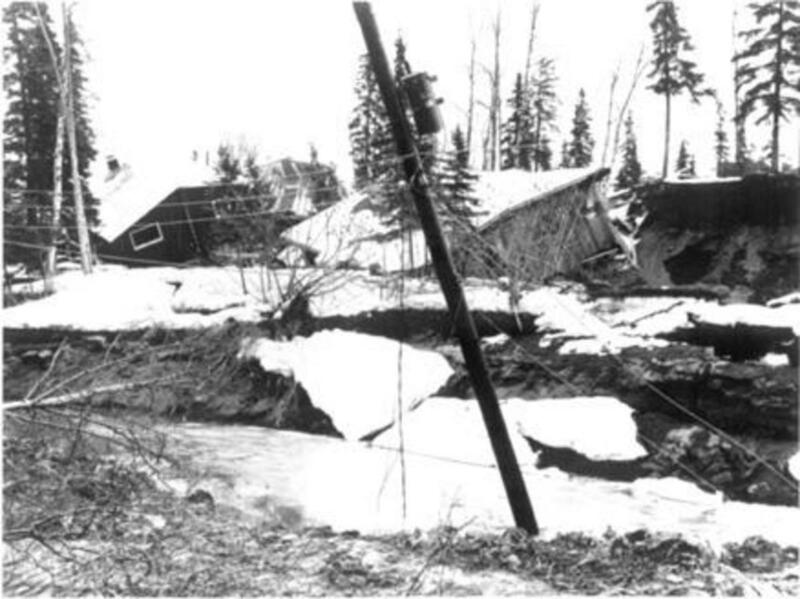 The most extensive breakage occurred along the 8-kilometer zone between West Spring and Cedar Creek. Here, the ground surface was shattered into randomly tilted blocks several meters in width. Other devastations include rockfalls and landslides on the steep slopes of the Lost River Range, water fountains and sand boils near the geologic feature of Chilly Buttes and the Mackay Reservoir, increase or decrease in flow of water in springs, and fluctuations in well water levels. A temporary lake was formed by the rising water table south of Dickey. The most severe property damage occurred in the towns of Challis and Mackay, where 11 commercial buildings and 39 private houses sustained major damage and 200 houses sustained minor to moderate damage. 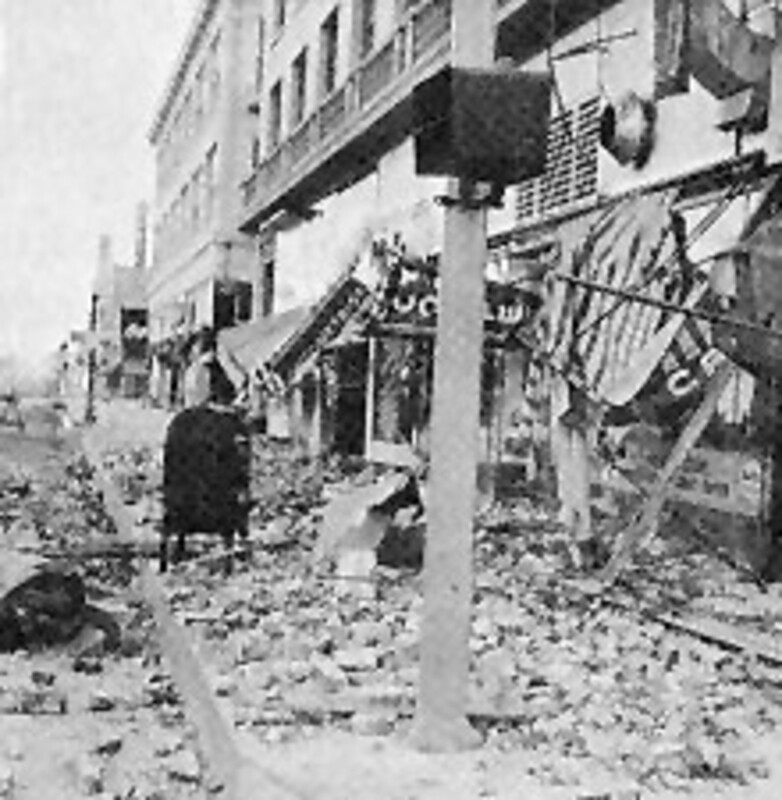 At Mackay, most of the commercial structures on Main Street were damaged to some extent. 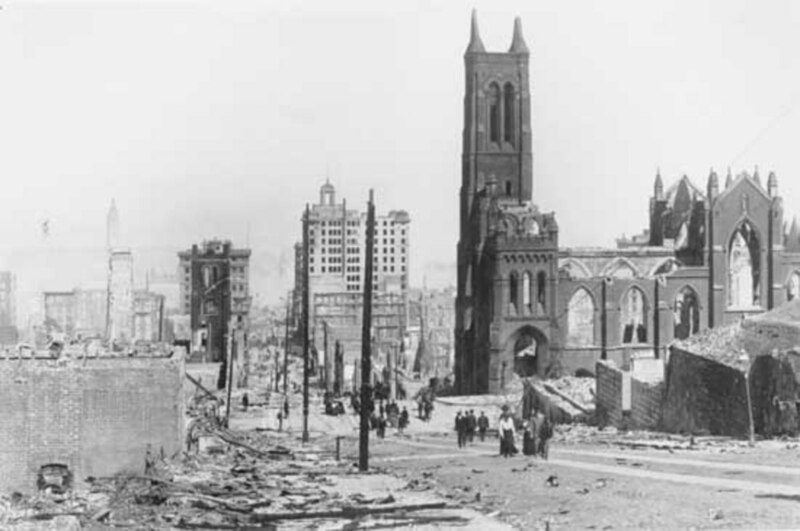 Damaged buildings were mainly of masonry construction, including brick, concrete block, or stone. About 90 percent of the residential chimneys were cracked, twisted, or collapsed. At Challis, less damage to buildings and chimneys was sustained, but two structures were damaged extensively. 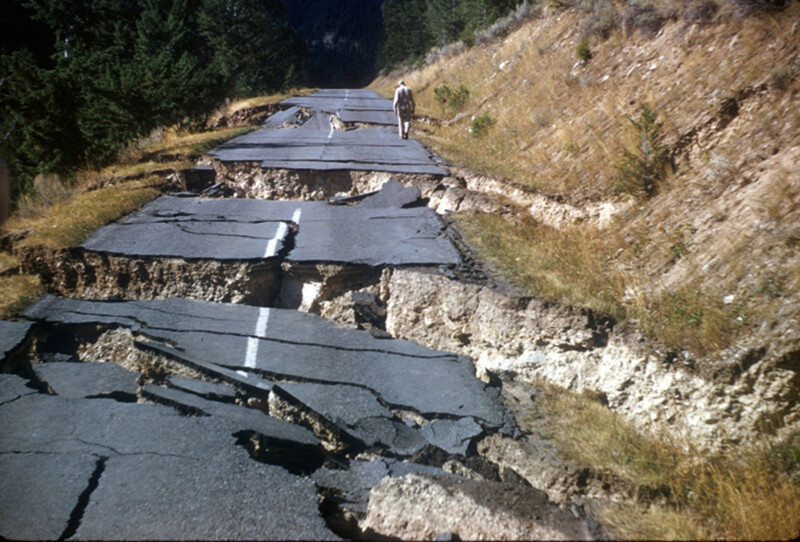 Many aftershocks occurred through 1983. the quake was also felt in parts in Montana, Nevada, Oregon, Utah, Washington, Wyoming, and in the Provinces of Alberta, British Columbia, and Saskatchewan, Canada. To cool for u. AND U KNOW IT TOO!!!!!!!!!!! im in science class on my phone right now and I need to know WHAT TECTONIC PLATE BOUNDARY IN NEAREST TO THE RAT ISLANDS, ALASKA EARTHQUAKE!!!!!!!!!!!!!!!!!!!!!!!!!!!!!!!!!!!!!!!!!!!!!!!!!!!!!!!!!!!!!!!!!!!!!!!!!!!!!!!!!!!!!!!!!!!!!!!!!!!!!!!!!!!!!!!!!!!!!!!!!!!!!!!!!!!!!!!!!!!!!!!!!!!!!!!!!!!!!!!!!! Thank you James, I am glad it helped! Thank you Jaime for reading and sharing your experience! I was in earthquake #8....scary but pretty awesome for a little kid!! :) Thankfully nobody was hurt. Thank you for the info EQTactics ! I live in California and thought it was probably the most earthquake prone state. I'm surprised to see so many in Alaska. Do they mainly affect unpopulated areas? This is fascinating, I have always been intrigued by earthquakes and their awesome power, also scared shitless. I have been following the activity of the Sierra El Mayor earthquake in Baja California cause I live just a few miles away from it. Seems the activity is starting to pick up again. Very well done, Livingsta. An interesting and informative read. Q. Pretty scary reading. Hopefully we won't have any more big ones, but we probably will. We used to live in Tonga where they would happen every once in a while but there are no tall mountains or buildings so you just go for a little roller coaster ride. One knocked us on the ground and was pretty crazy. Thank you Habee, for your comments. I too dread earthquakes. have felt a mild one, which nearly stopped my heart. If nature goes wild, then yes, it is really scary. Excellent work. Earthquakes terrify me! Thank goodness we don't have them here. We do get lots of tornadoes, however, and they scare me, too! Thank you prasetio30 for the comments. Yes it took a while for me to go through different references to get exact information and pictures. it was amazing, really big disaster. thanks for share this information. you have great research about this topic. I had no idea so much earthquakes had been record in America. Damn, I'm really surprised!